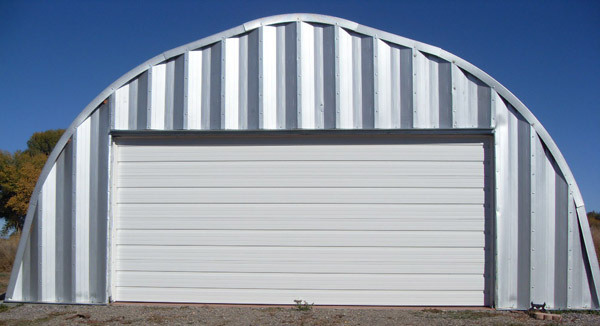 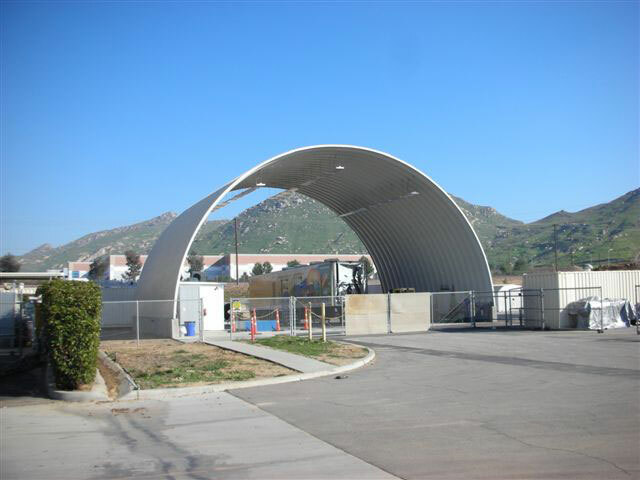 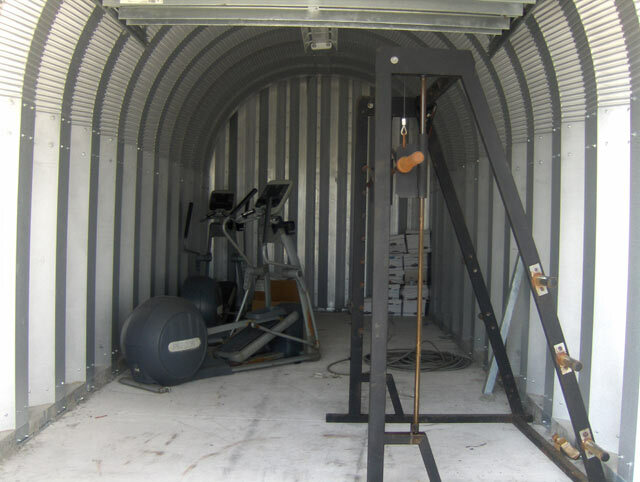 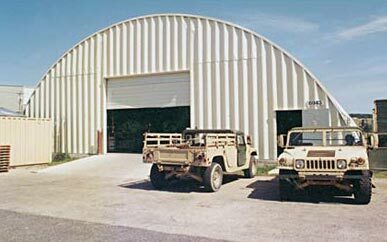 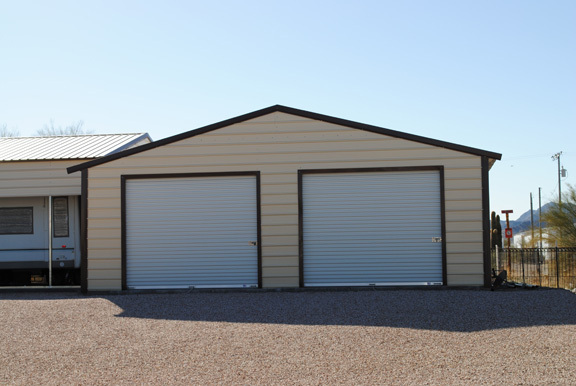 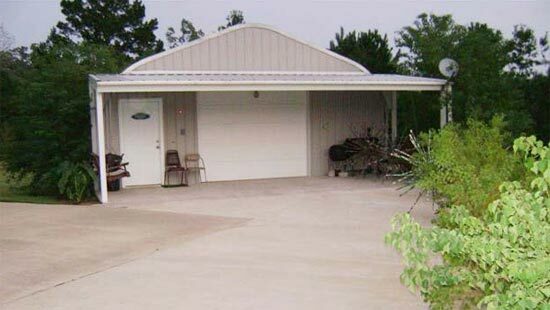 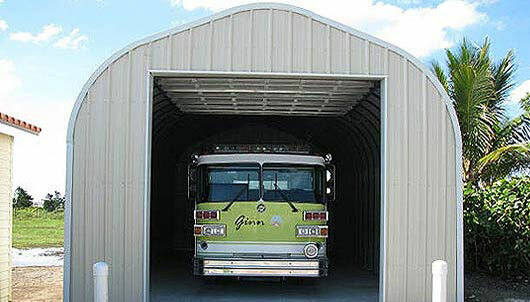 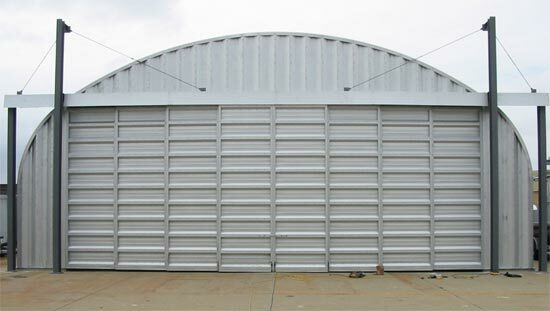 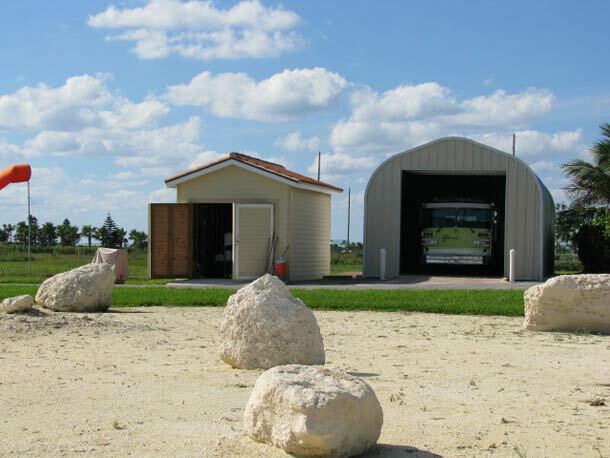 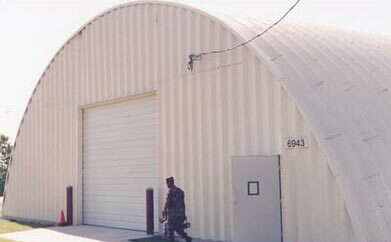 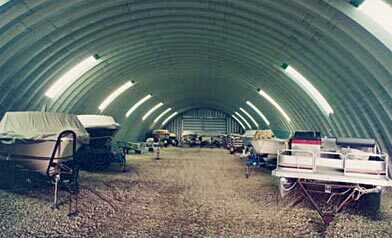 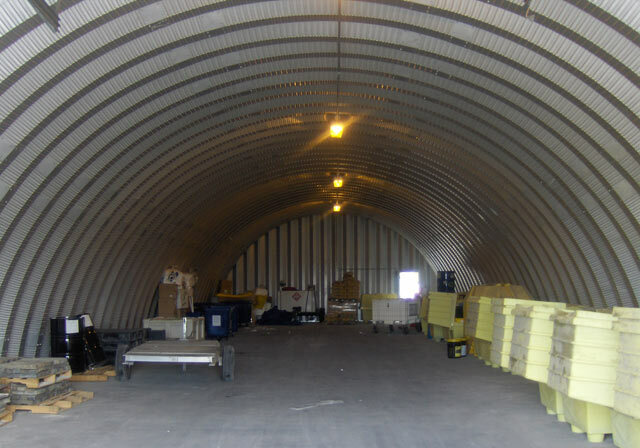 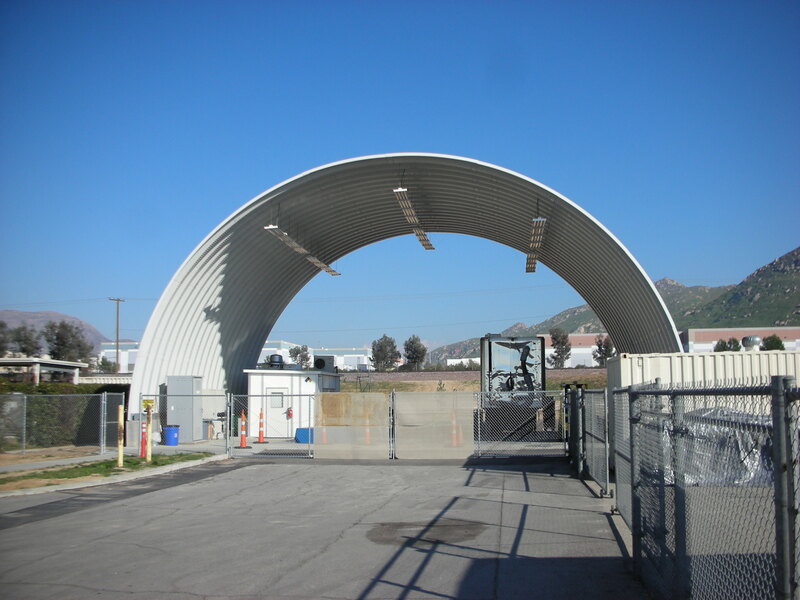 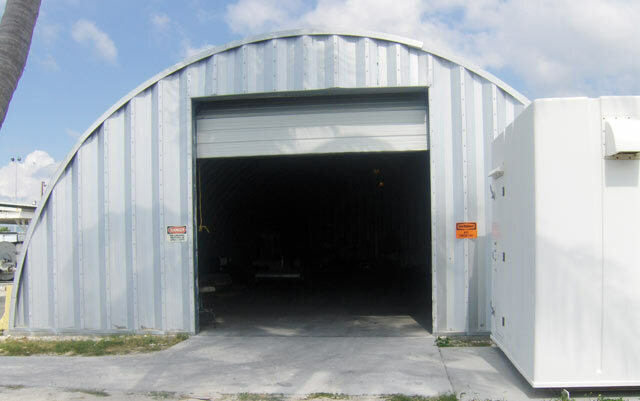 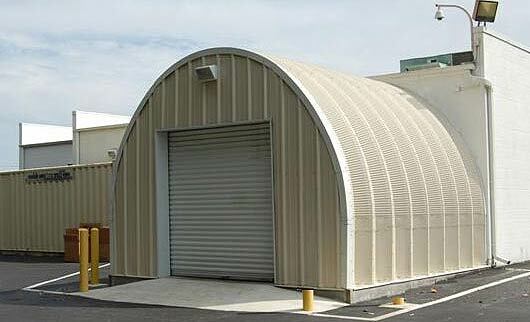 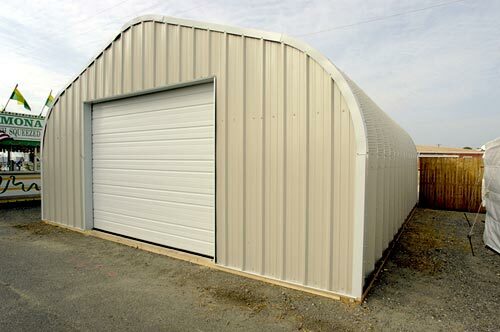 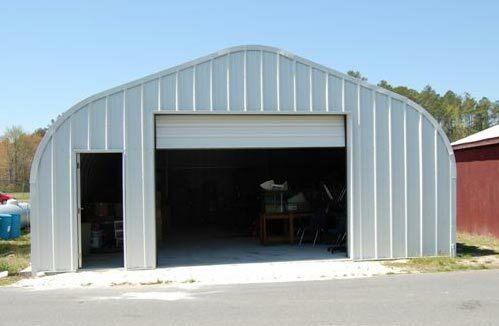 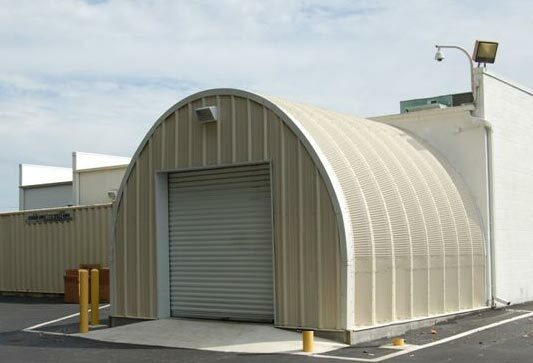 Powerbilt steel aircraft hangars provide affordable security and protection for your aircraft and related storage needs. 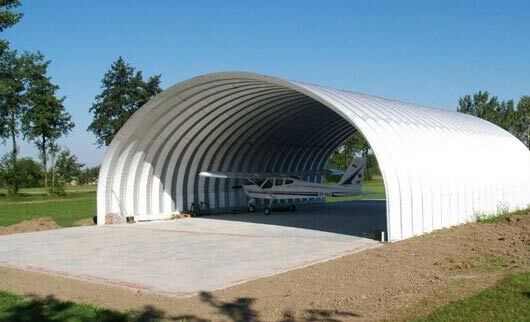 You made a significant investment in your aircraft, it only makes sense to protect it. 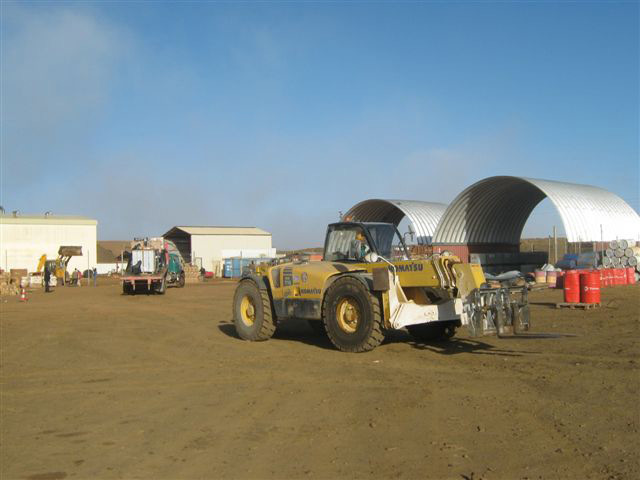 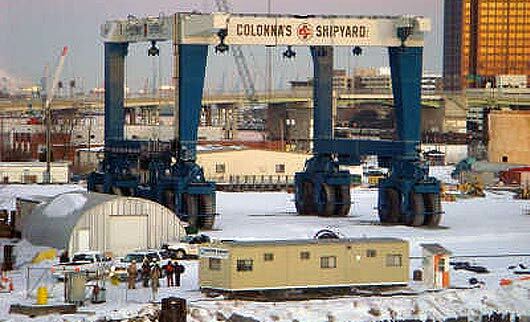 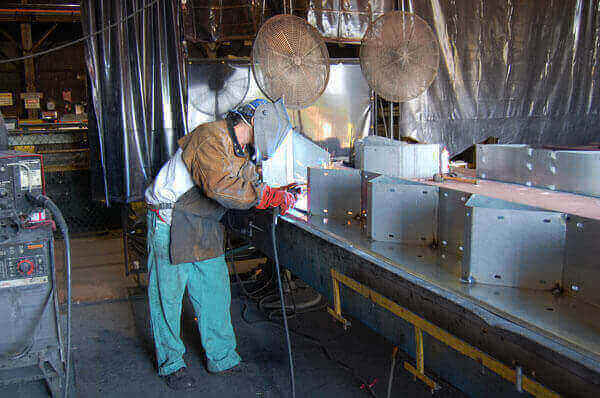 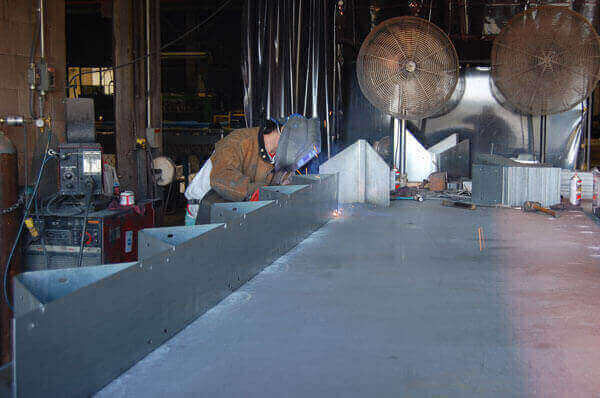 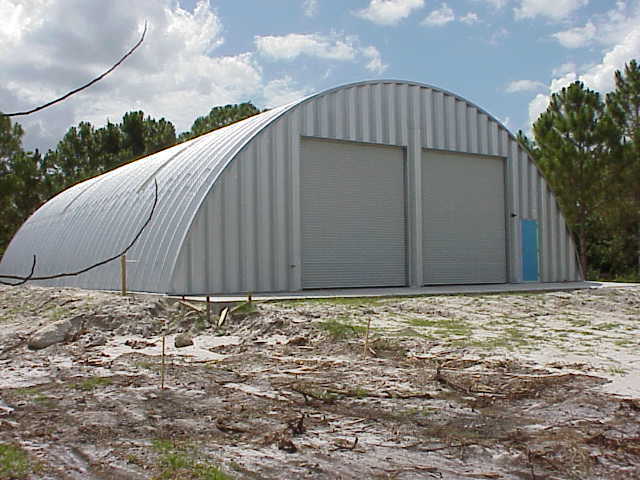 Whenever someone outsources a project such as building steel aircraft hangars, it usually equals high labor cost. 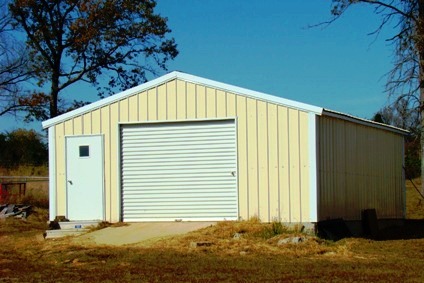 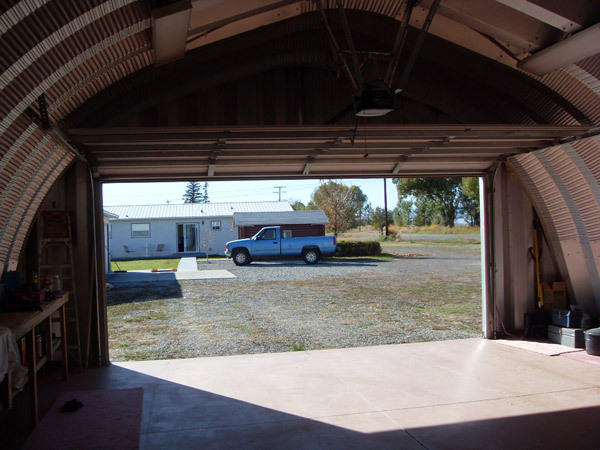 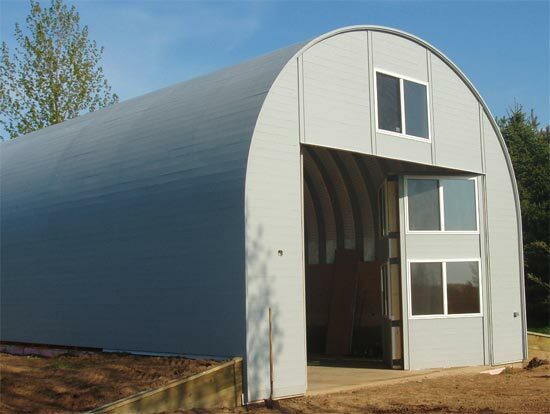 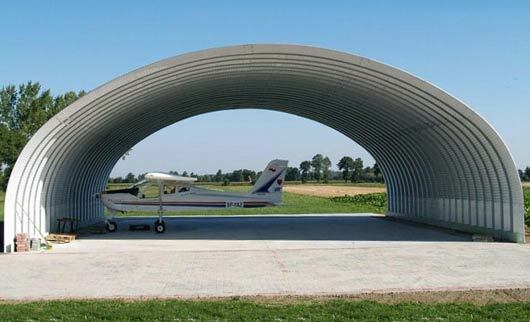 With Powerbilt steel aircraft hangars you can build your own hangar, with room for storage and work areas, at a fraction of the cost. 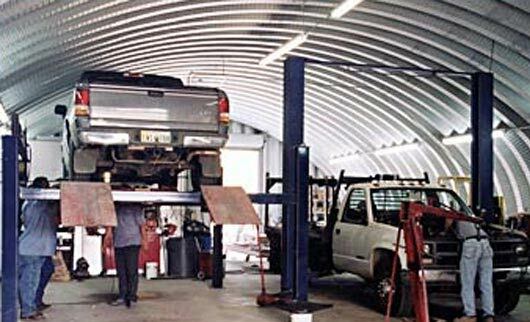 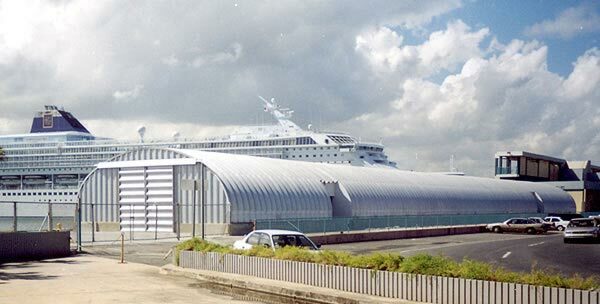 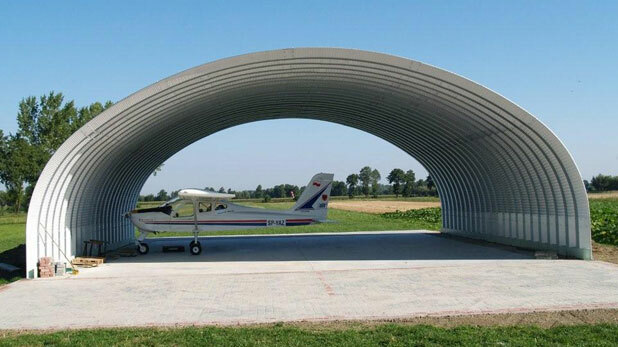 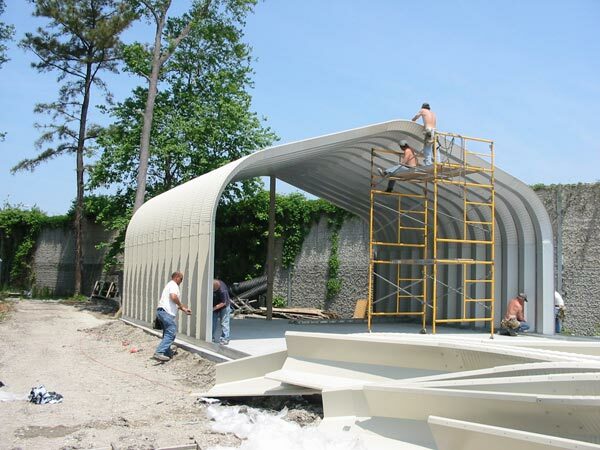 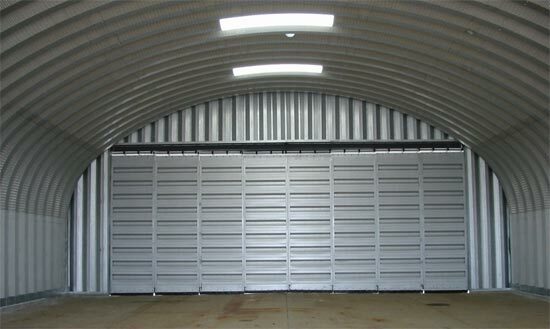 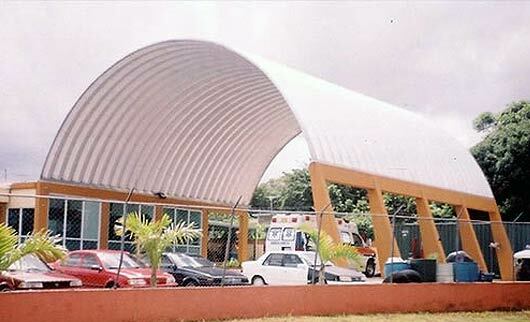 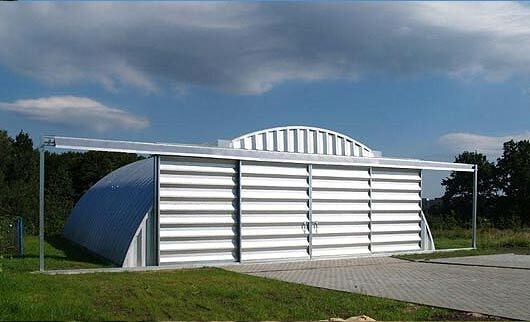 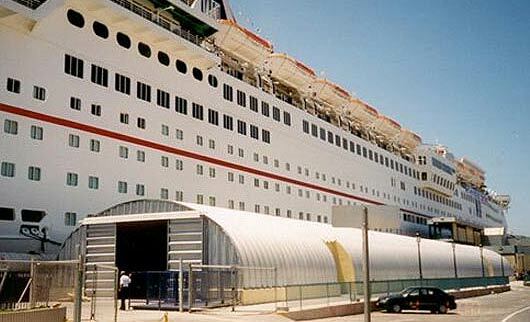 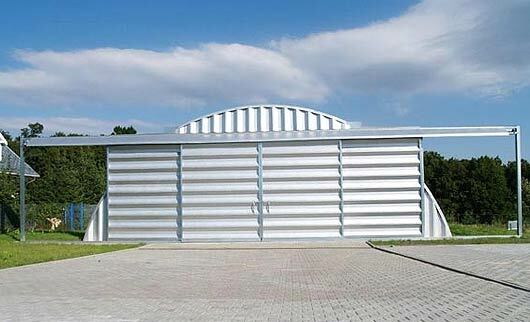 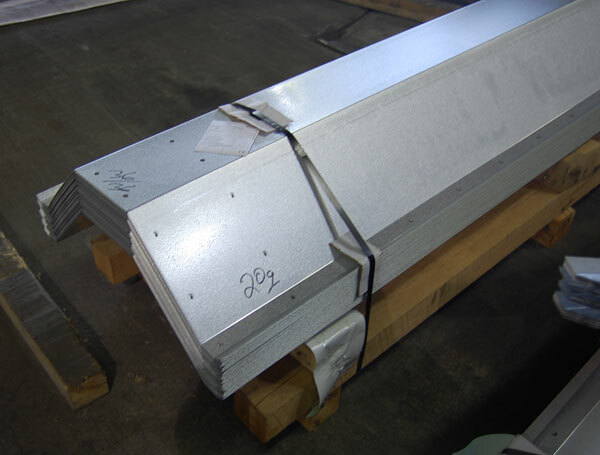 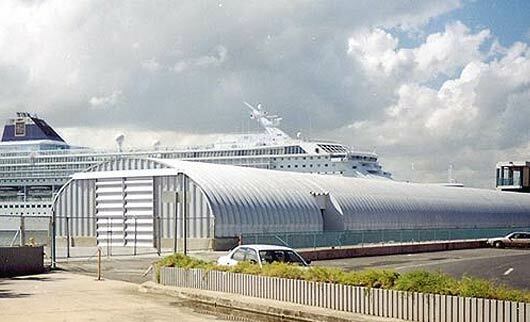 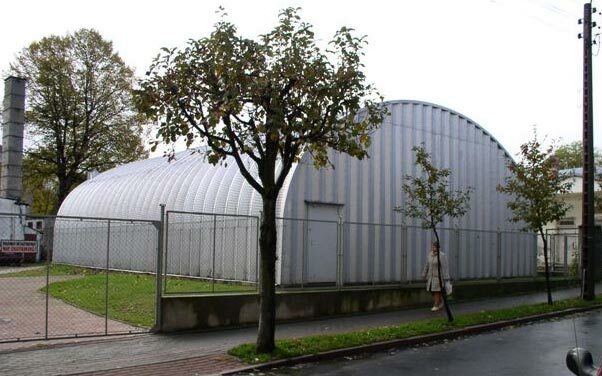 By simply bolting the steel aircraft hangar panels together, construction and erection can be done yourself. 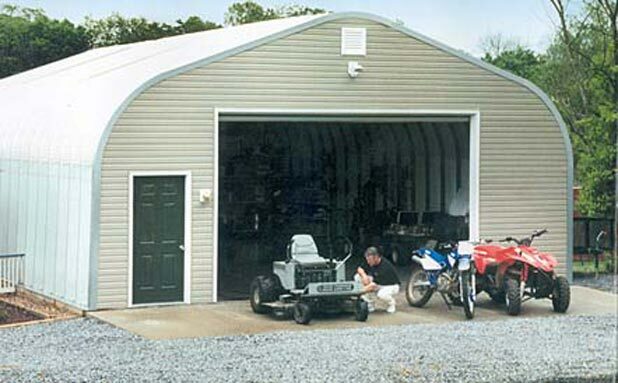 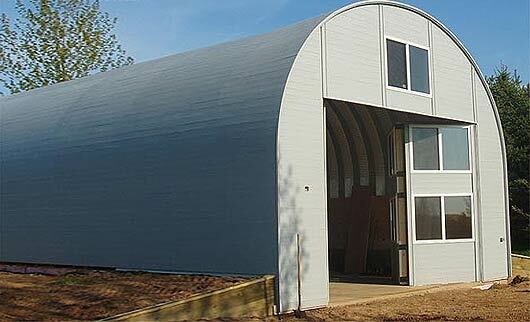 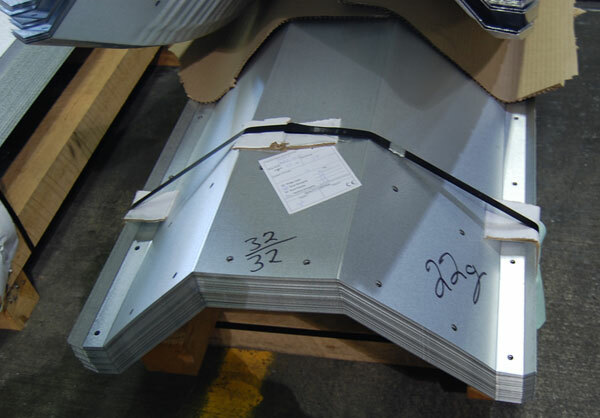 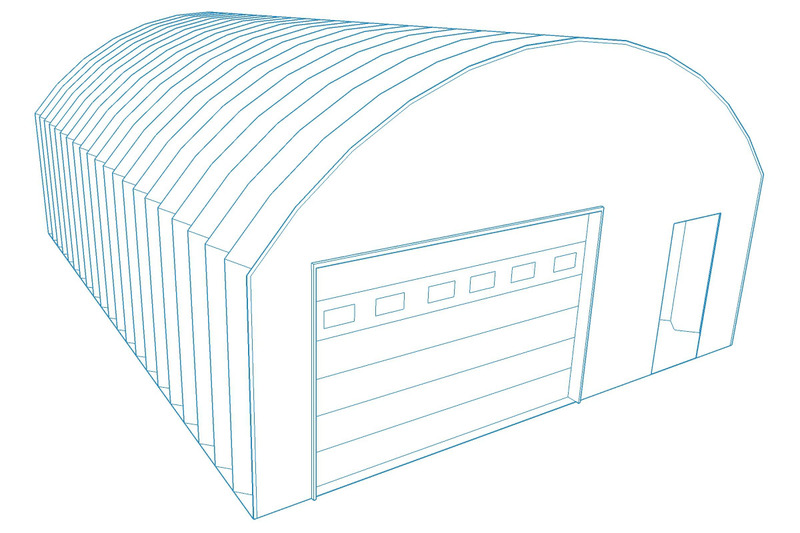 All Powerbilt steel aircraft hangars include an easy to follow assembly manual. 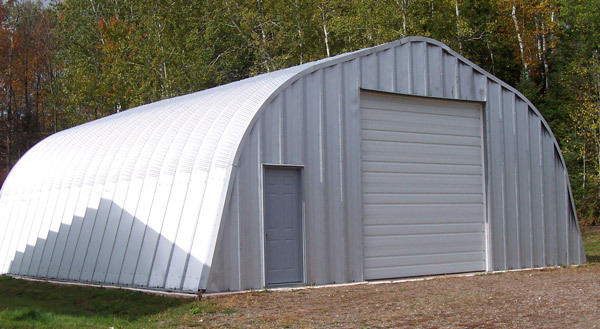 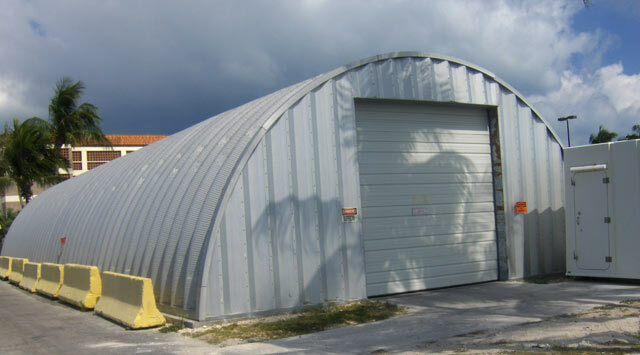 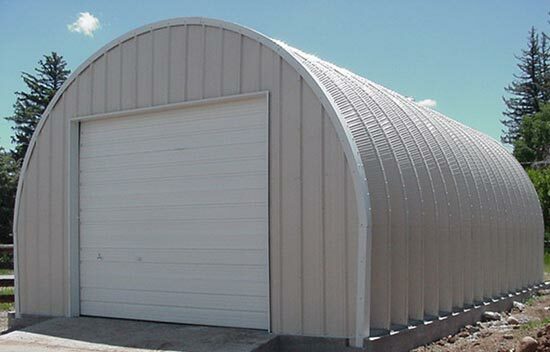 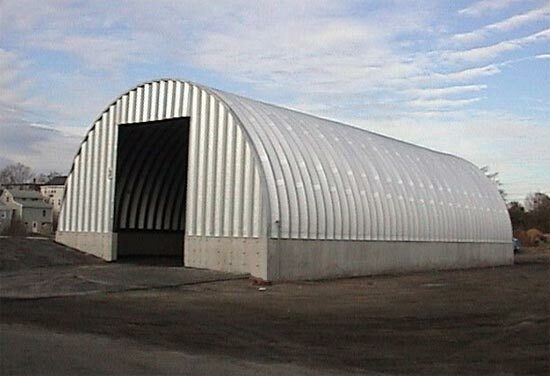 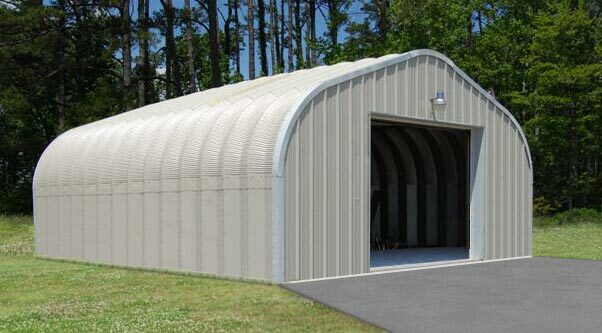 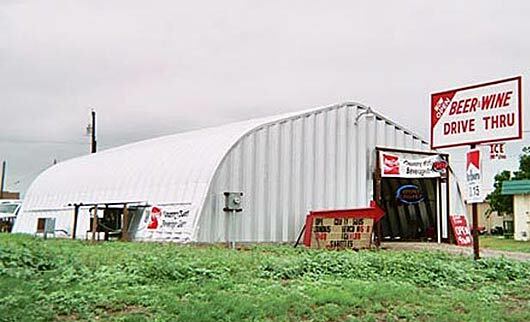 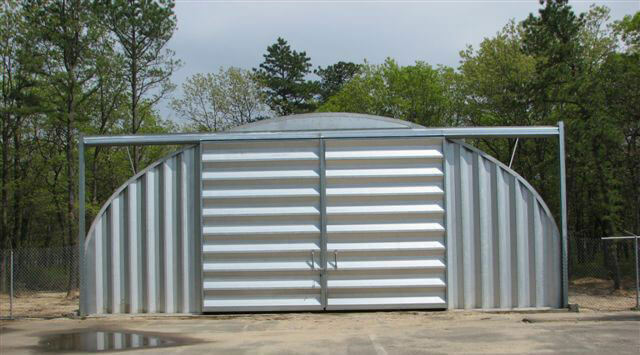 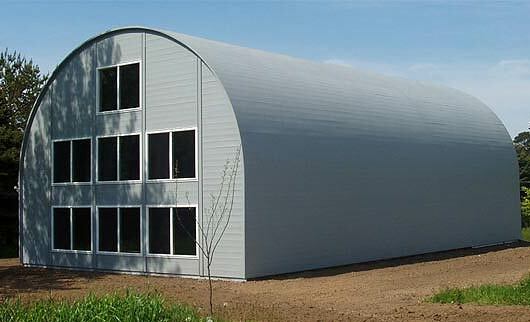 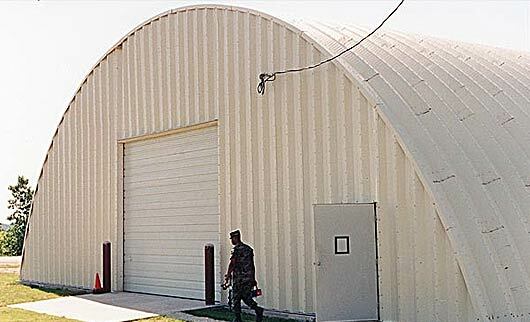 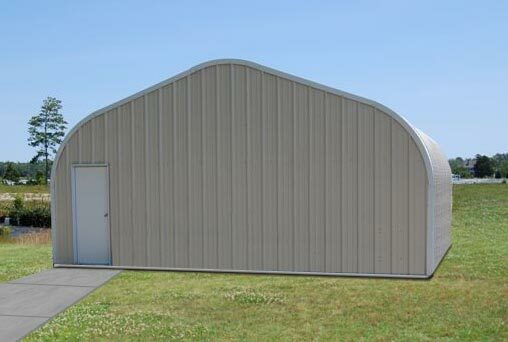 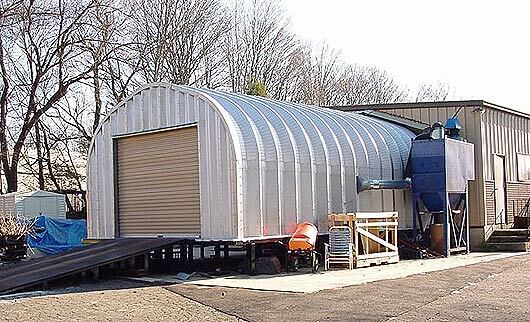 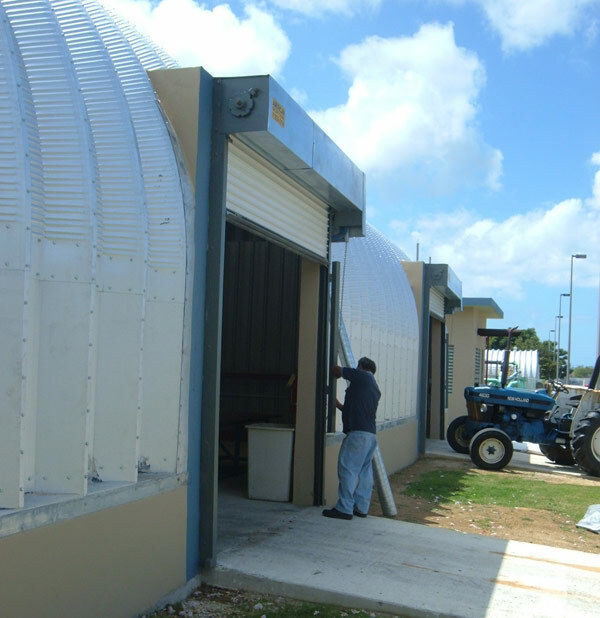 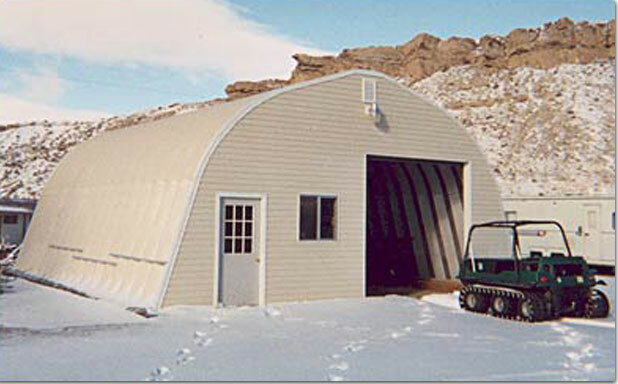 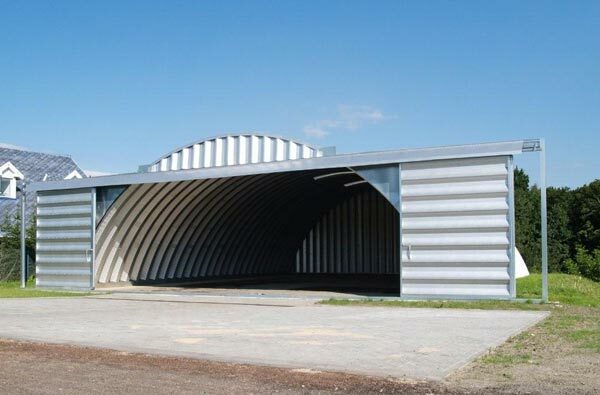 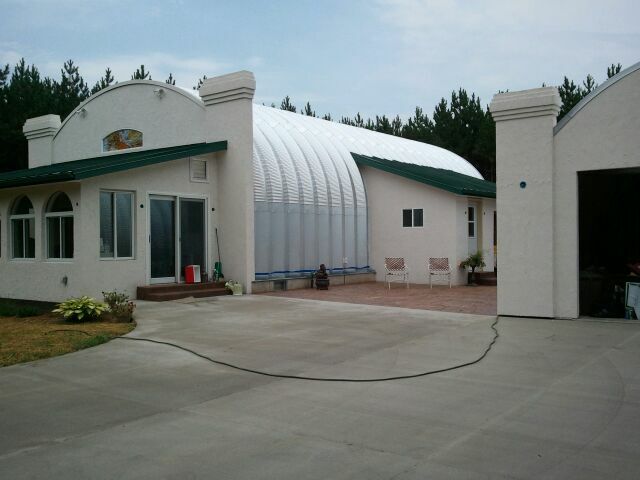 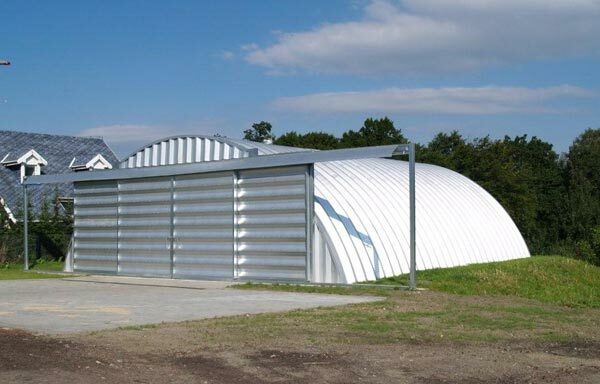 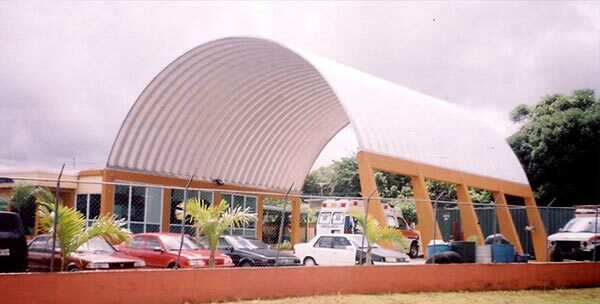 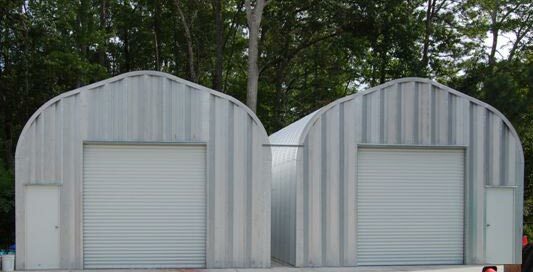 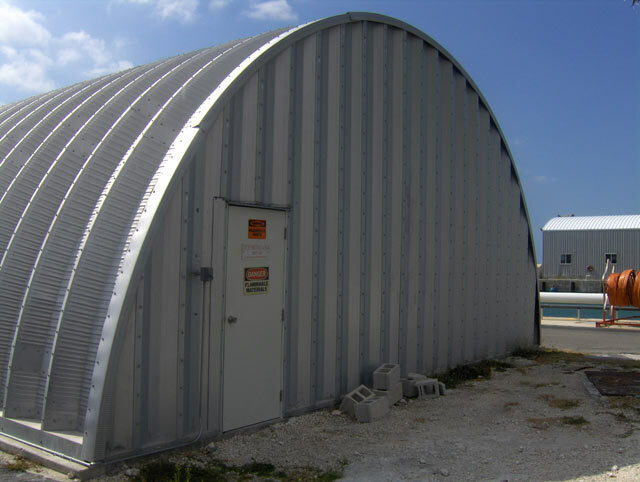 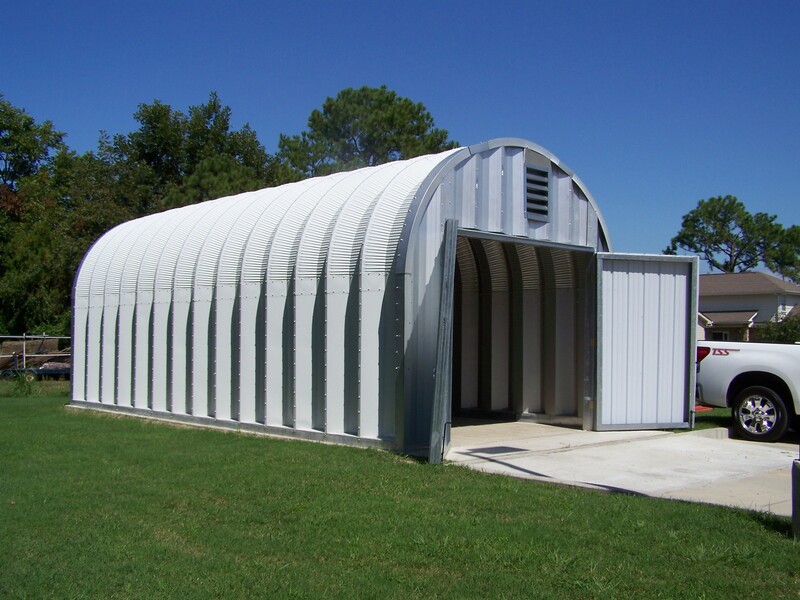 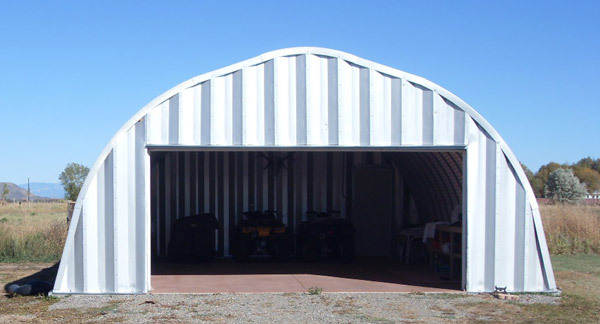 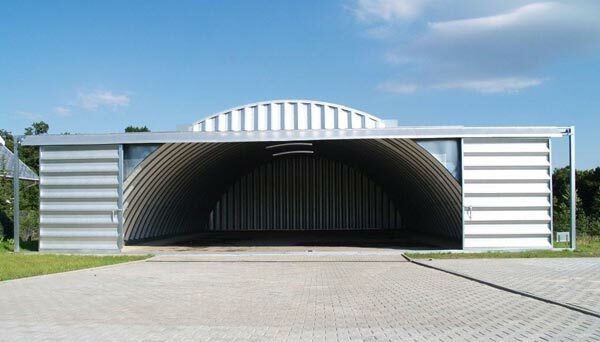 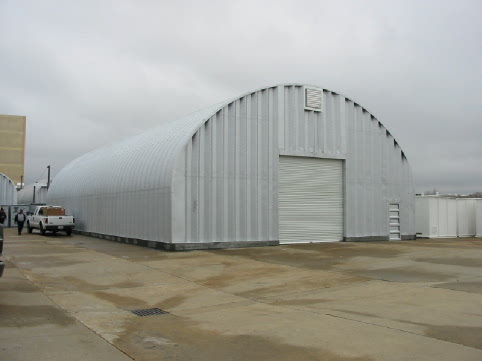 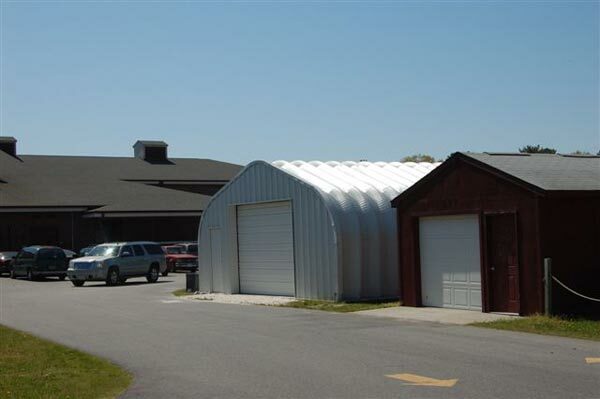 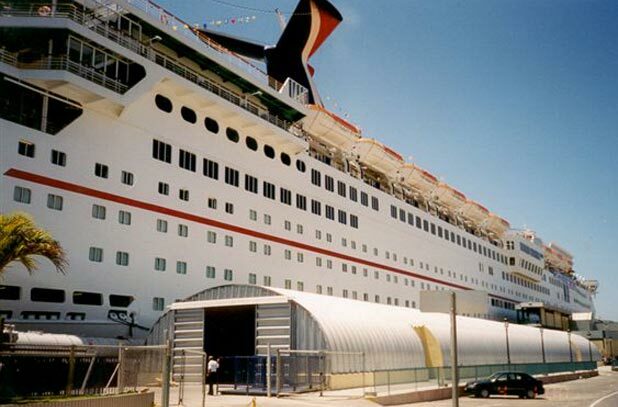 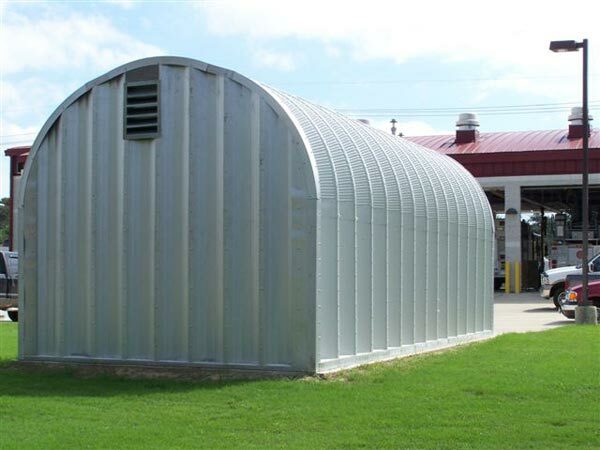 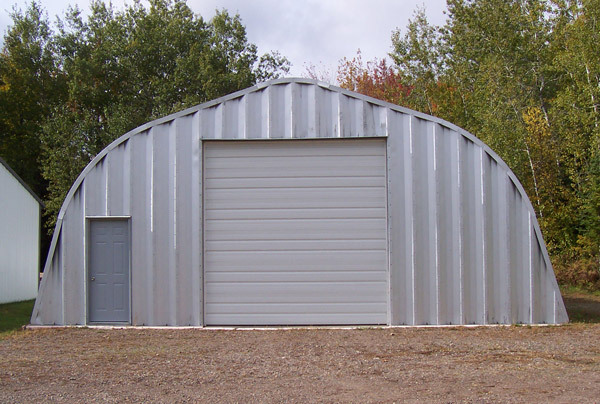 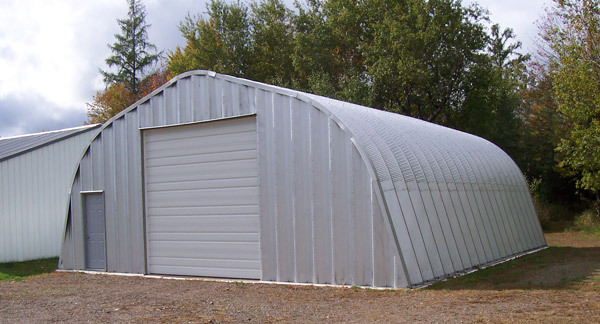 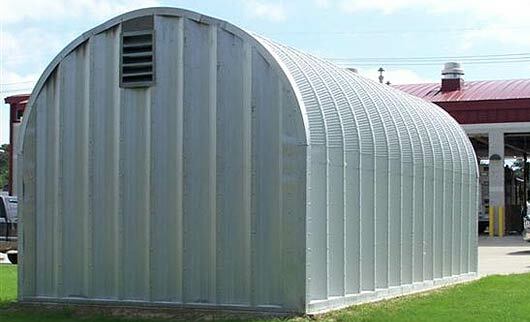 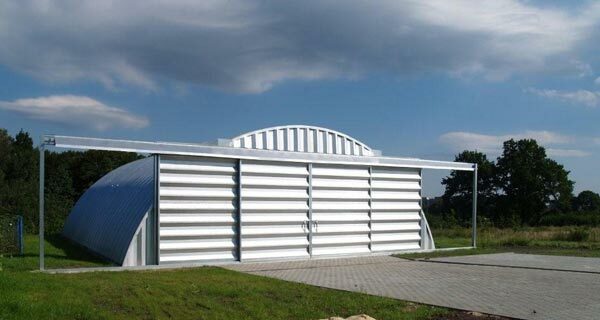 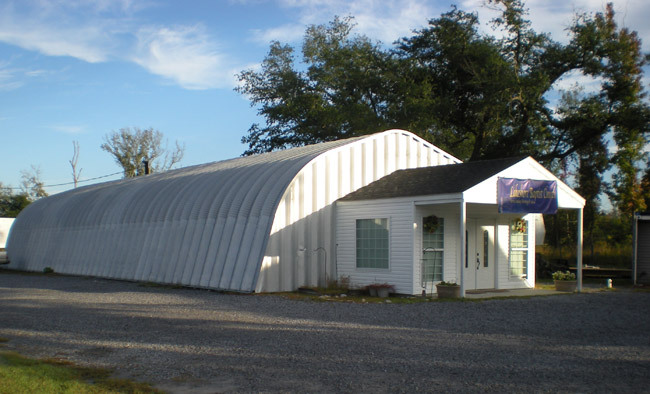 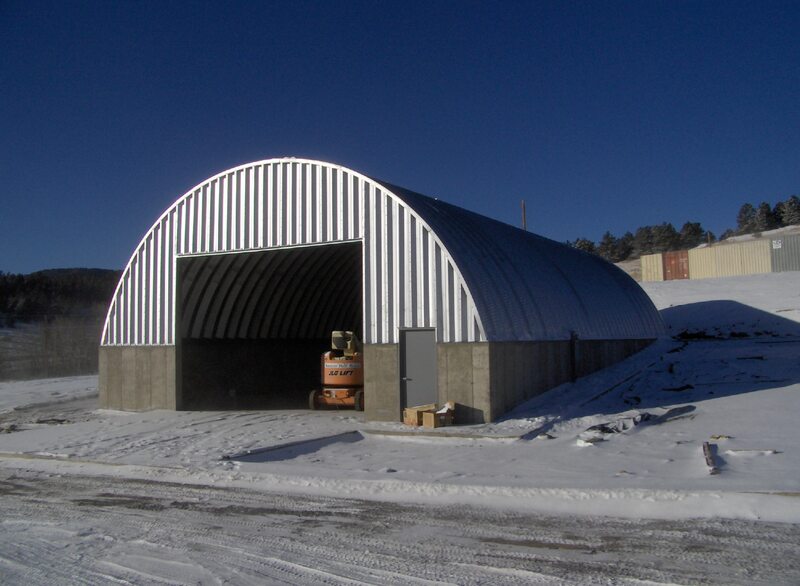 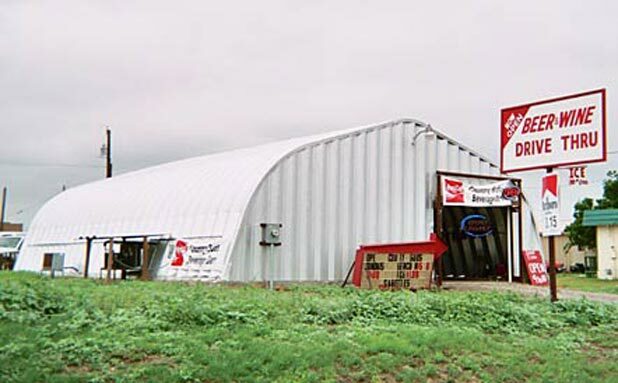 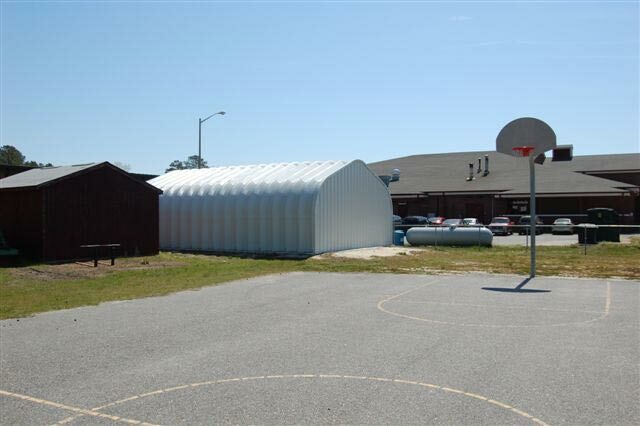 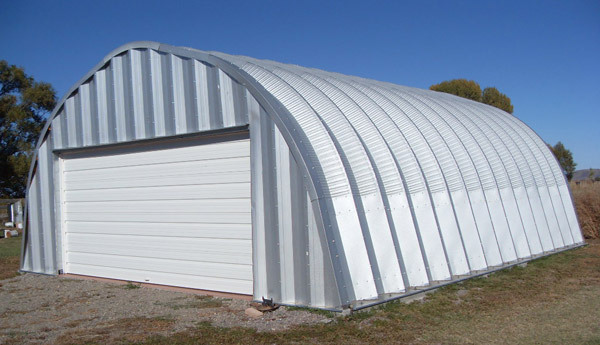 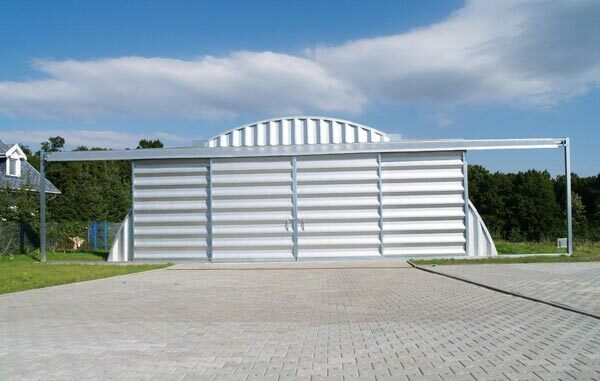 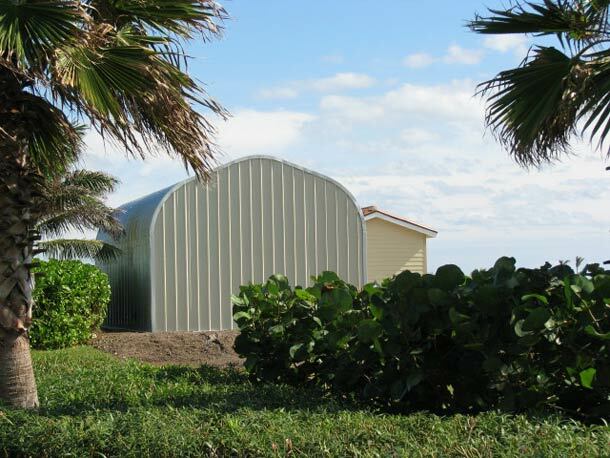 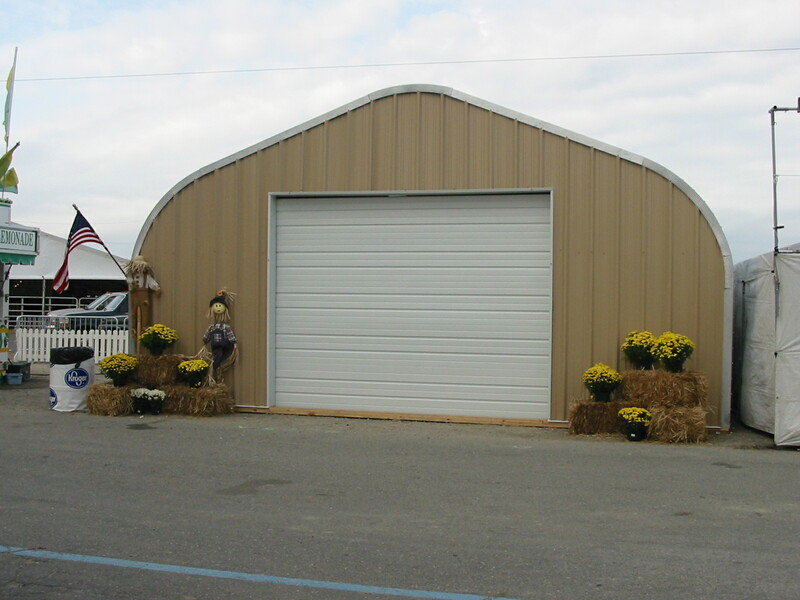 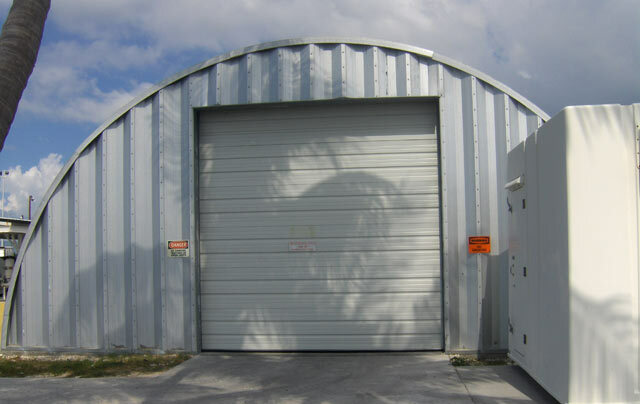 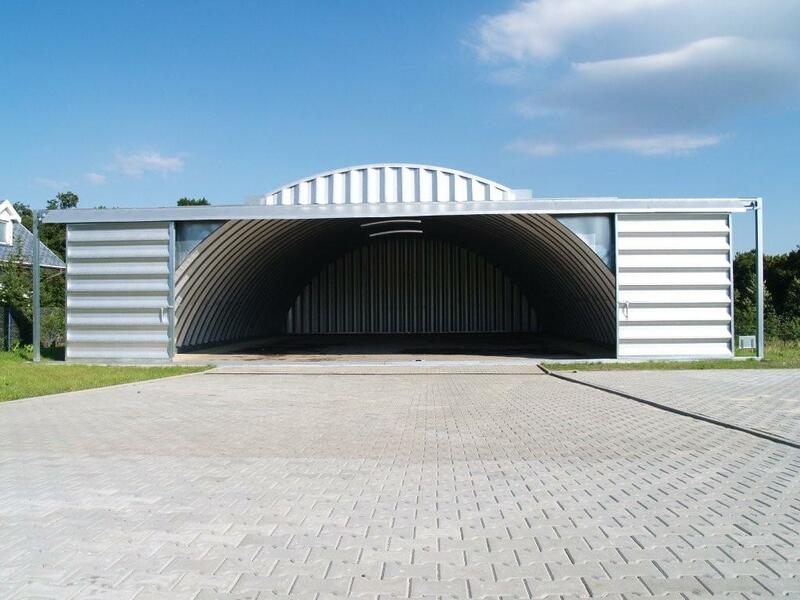 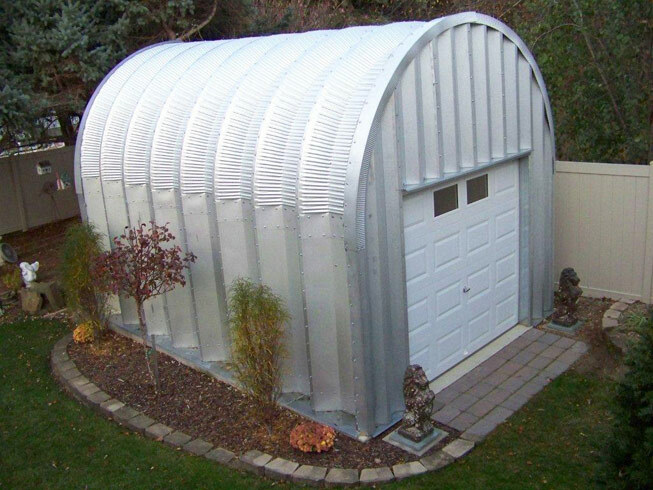 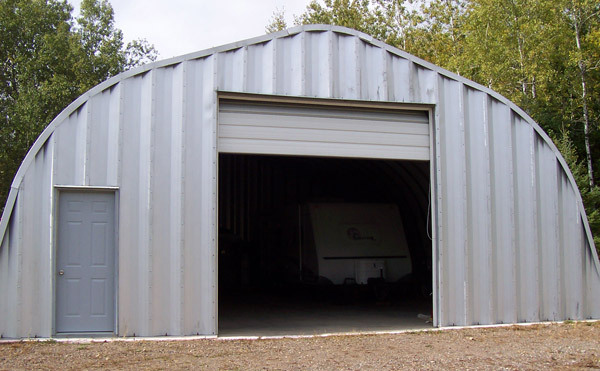 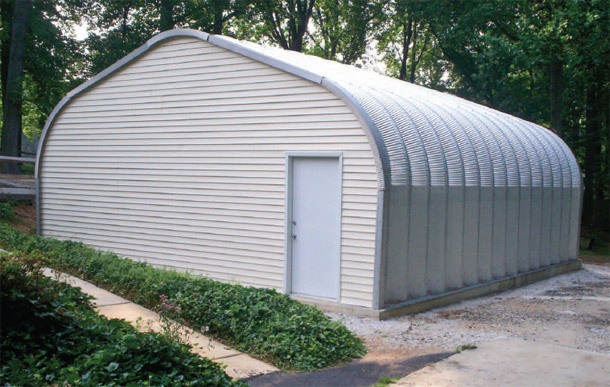 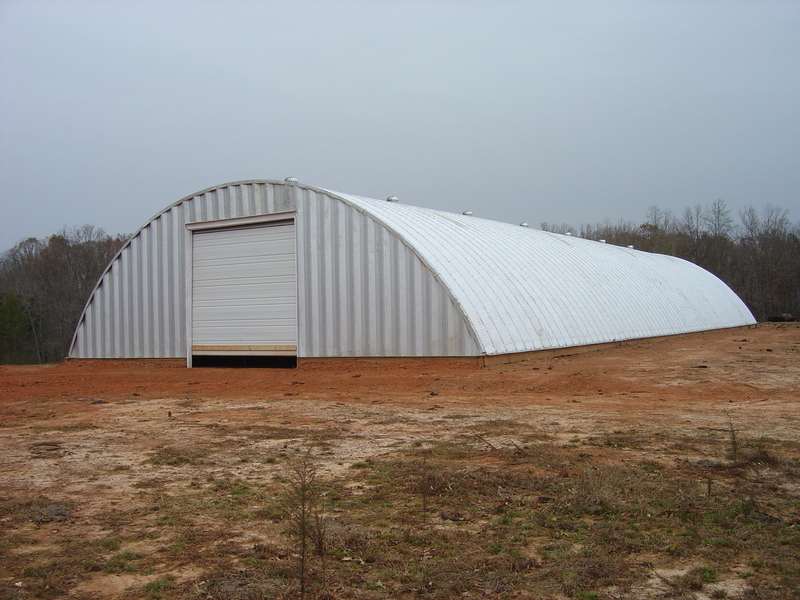 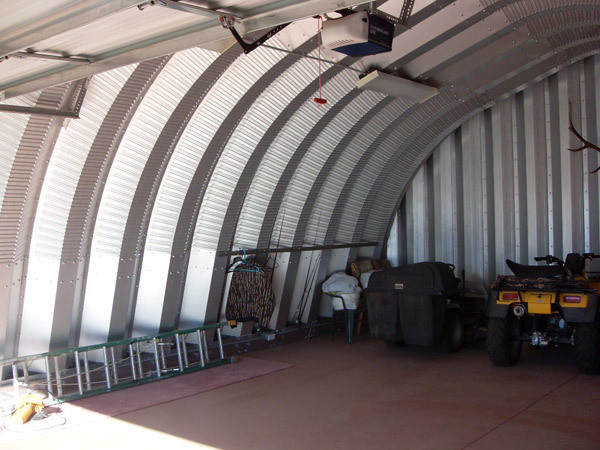 Our steel aircraft hangars are ideal for small aviation buildings and light aircraft storage, Powerbilt steel aircraft hangars are maintenance free and durable enough to withstand hurricanes, tornadoes, earthquakes, and heavy snow and rain. 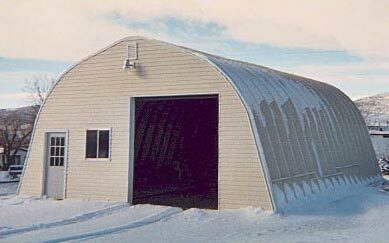 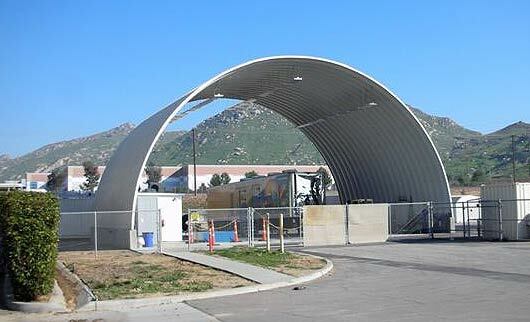 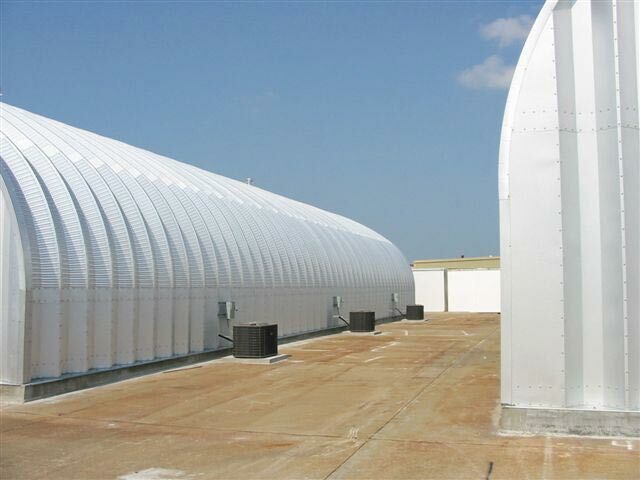 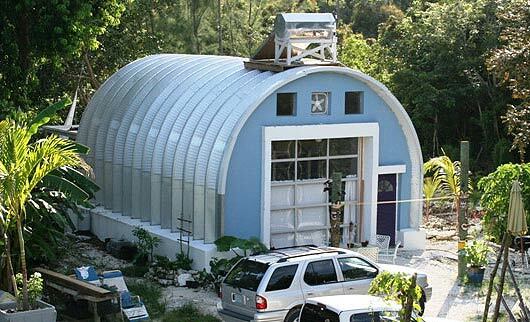 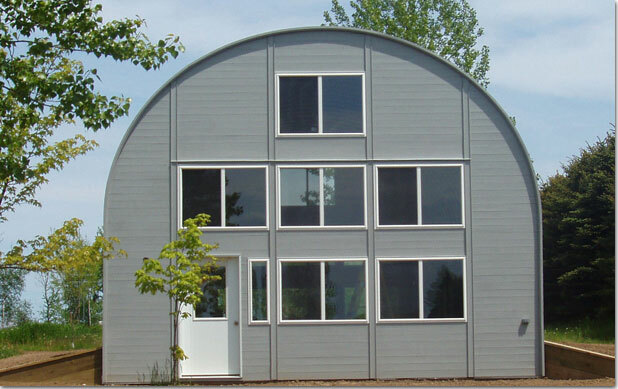 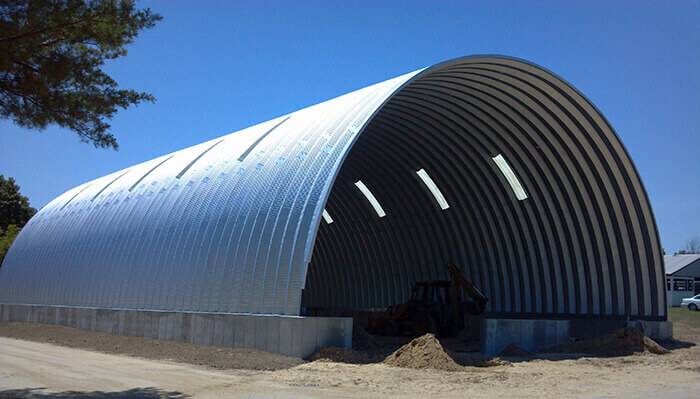 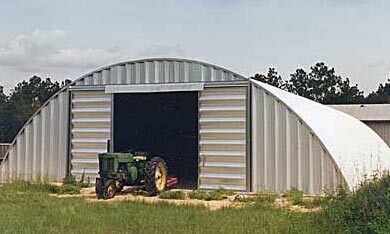 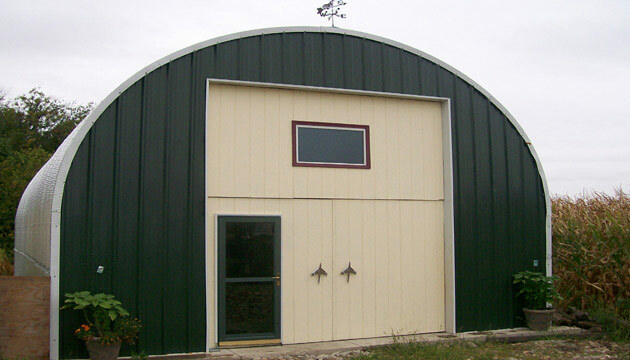 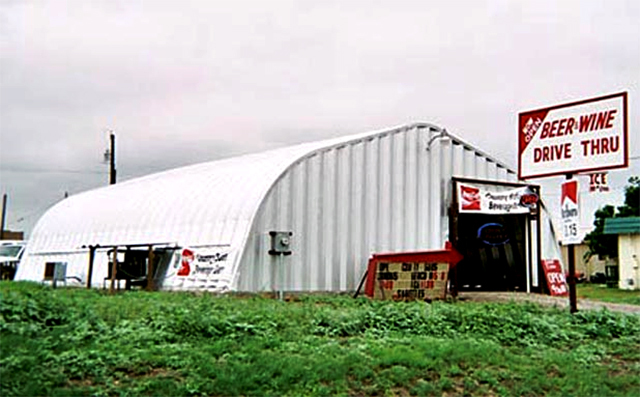 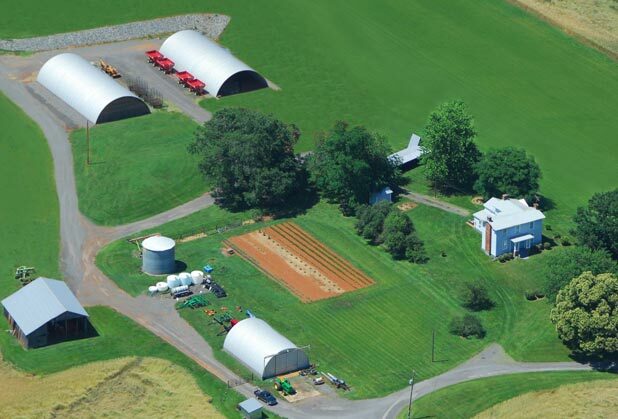 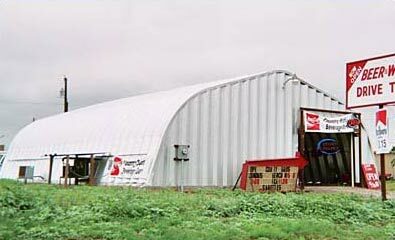 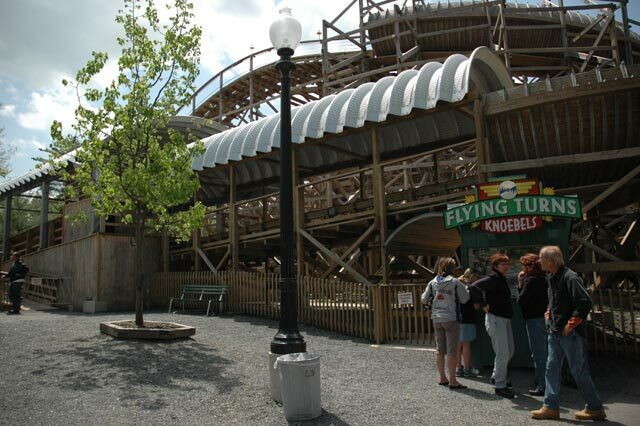 Our steel aircraft hangars are energy efficient, and less expensive to cool in the summer or heat in the winter. 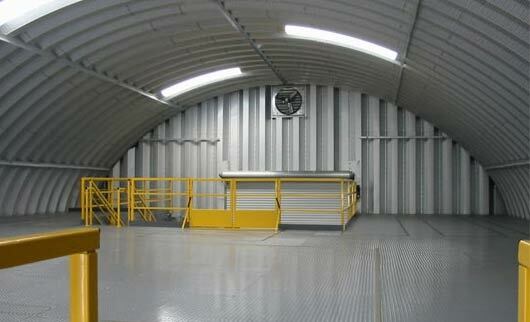 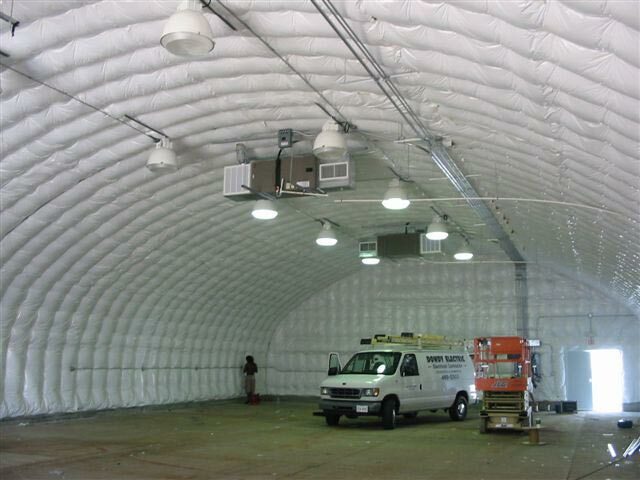 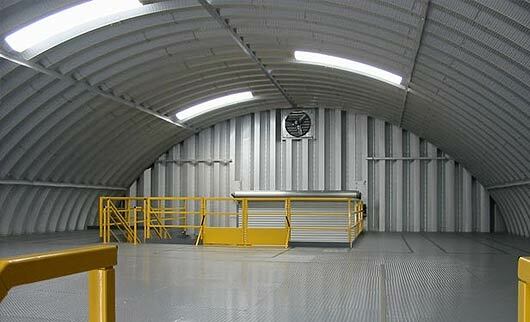 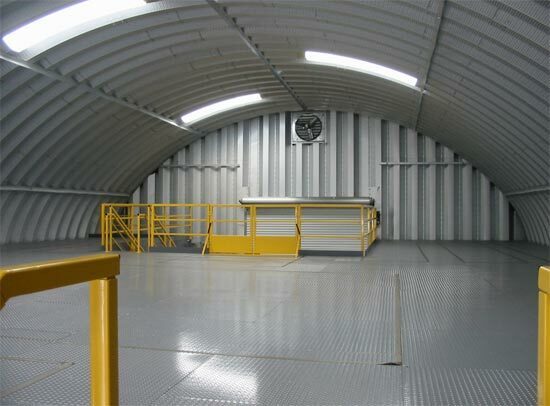 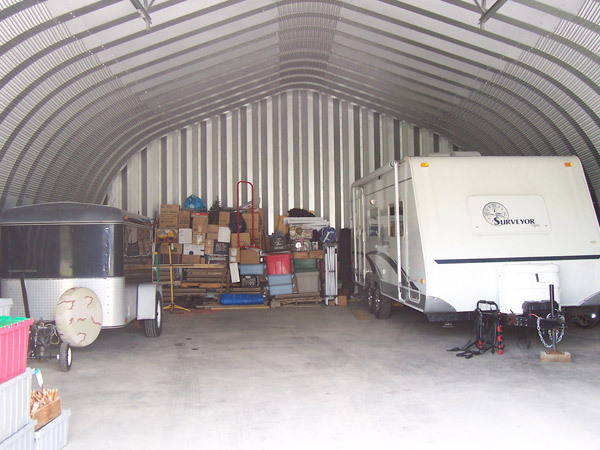 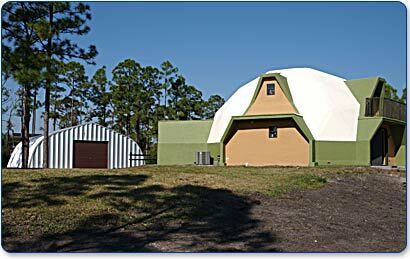 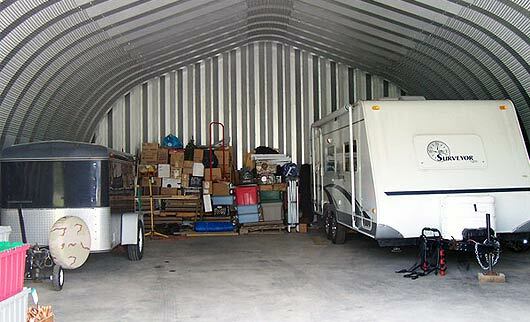 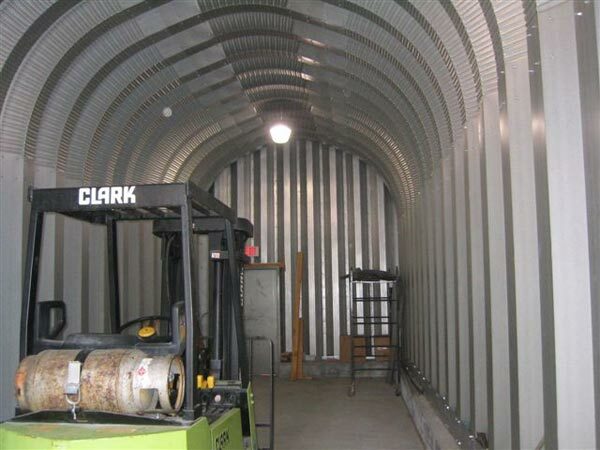 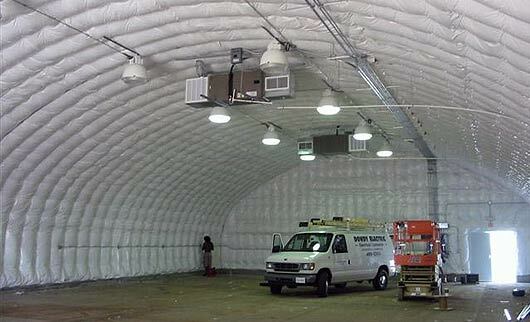 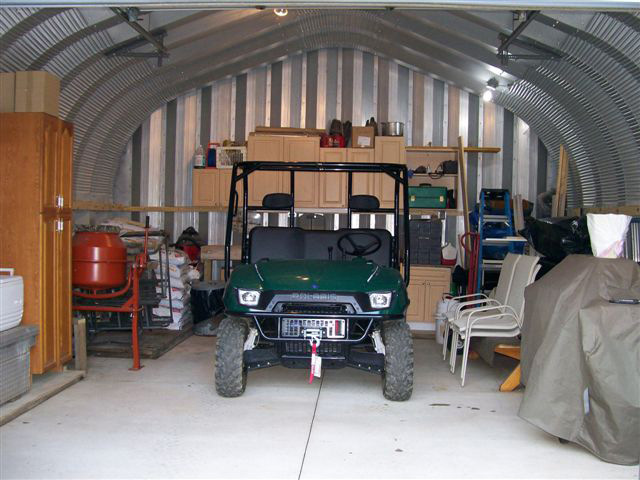 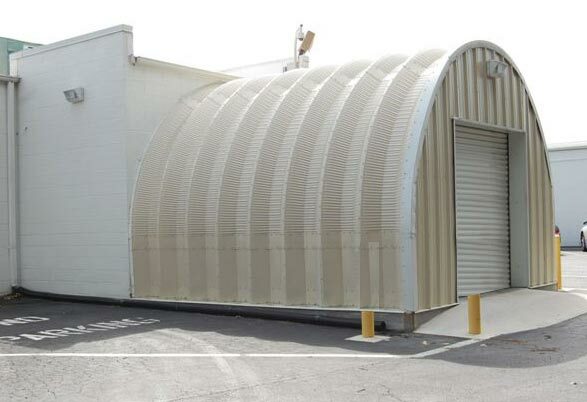 The low maintenance aspects of our buildings provide optimal storage conditions for your aircraft. 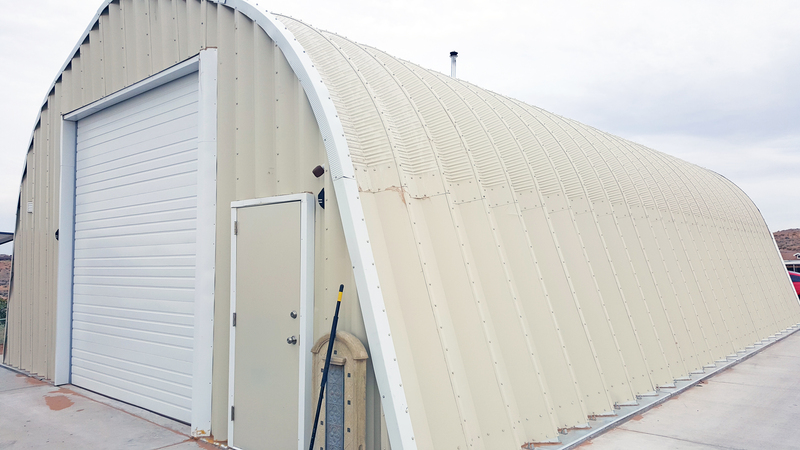 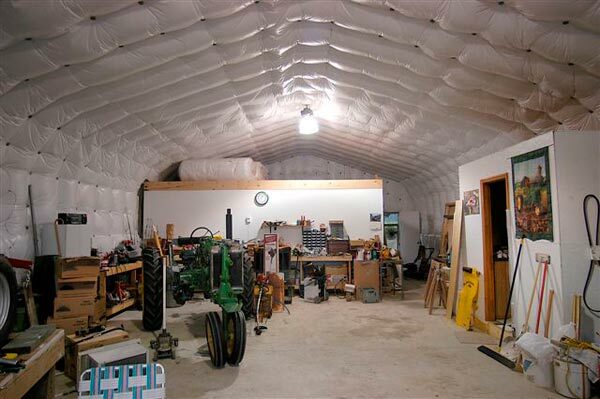 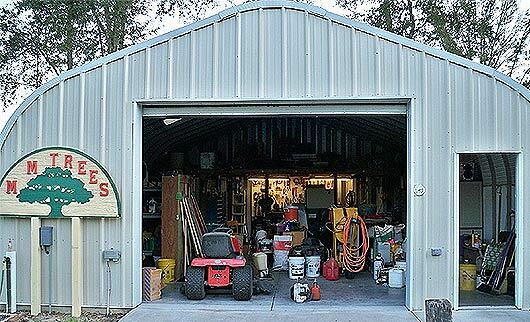 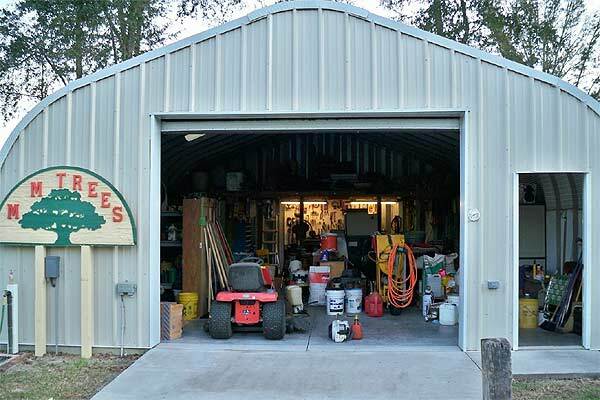 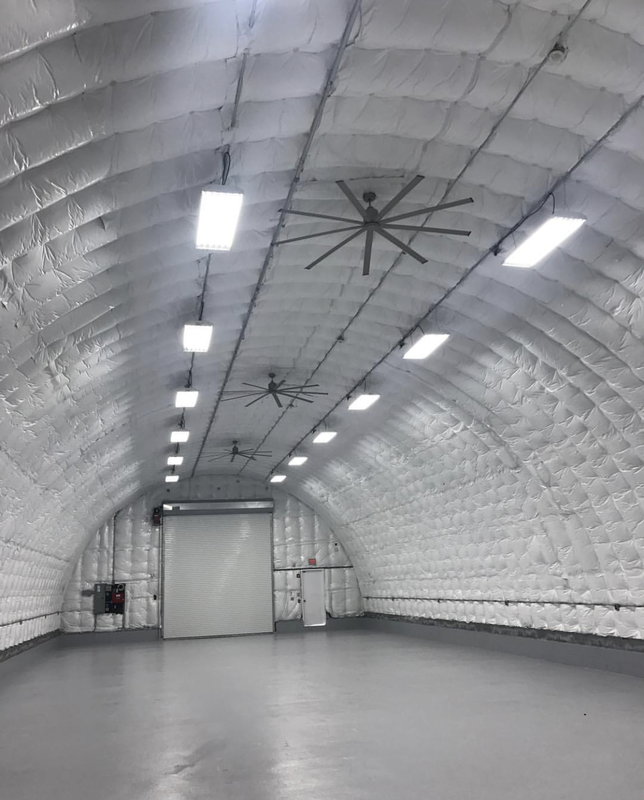 With no beams or posts, the clear span of a Powerbilt steel aircraft hangar provides maximum storage space that can easily be expanded, simply by adding more panels. 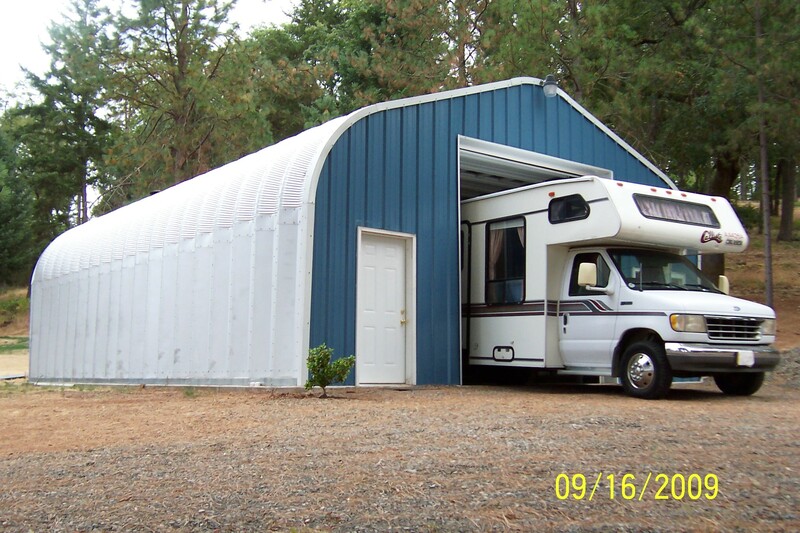 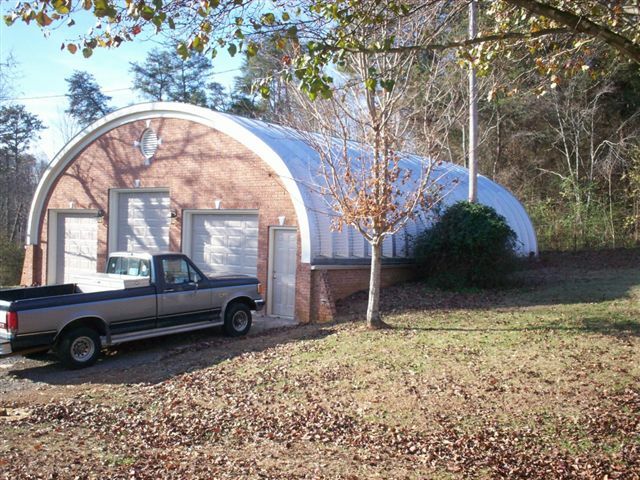 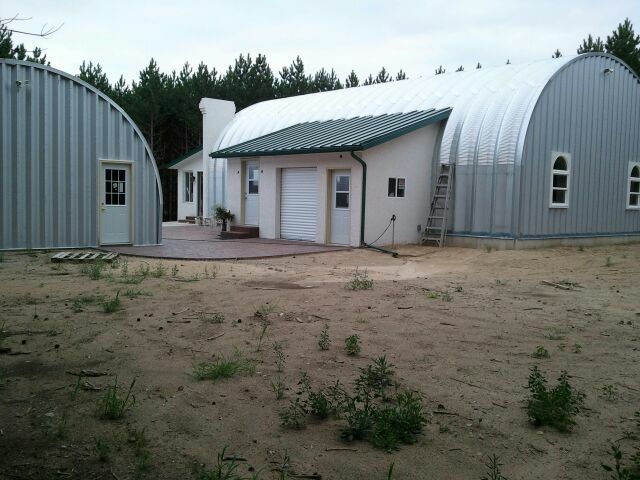 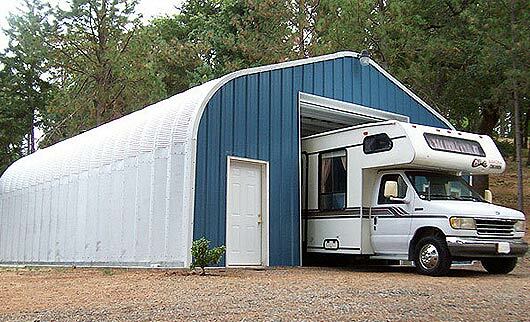 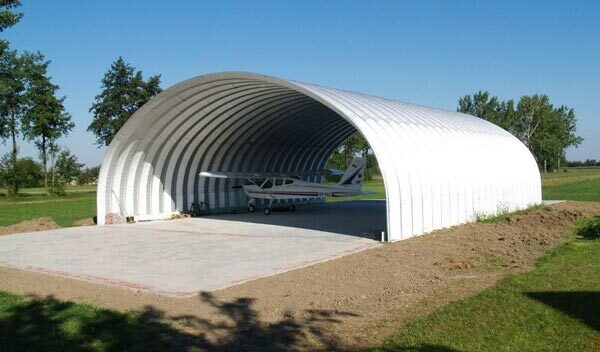 Price your new aircraft hangar now! 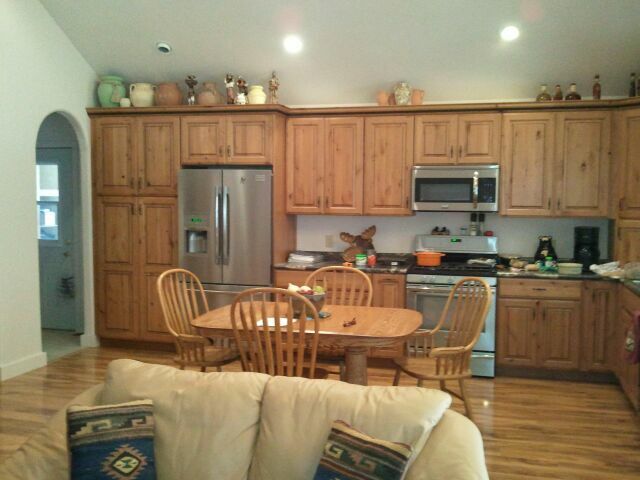 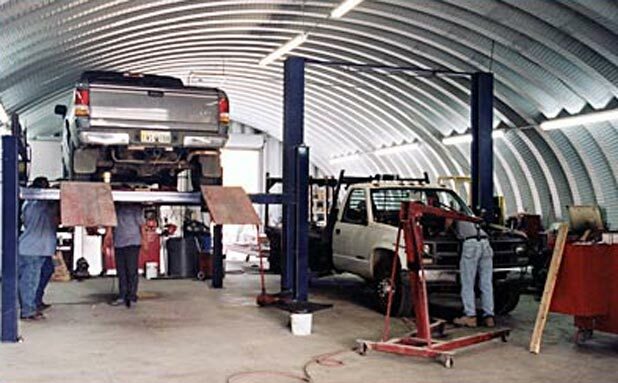 Request a fast online quote. 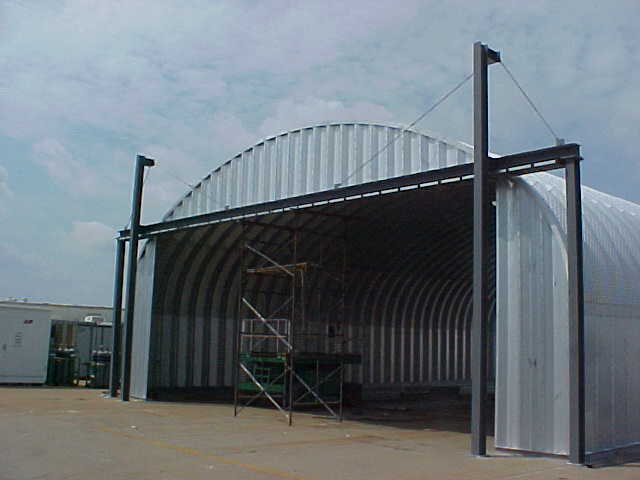 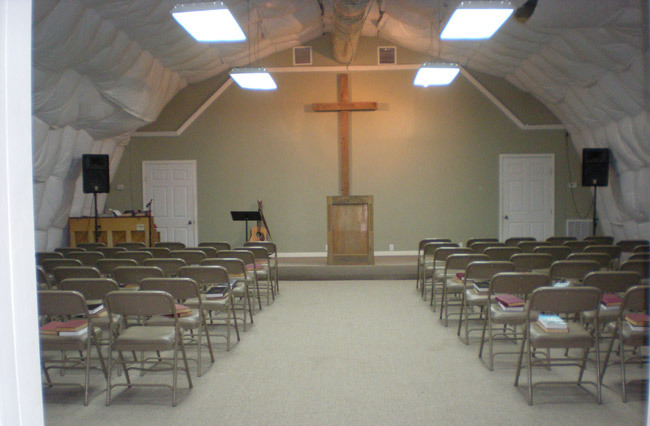 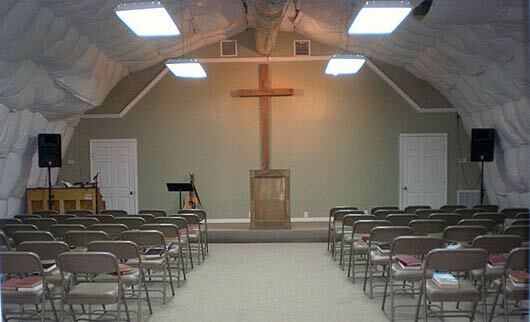 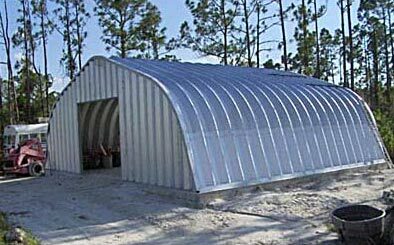 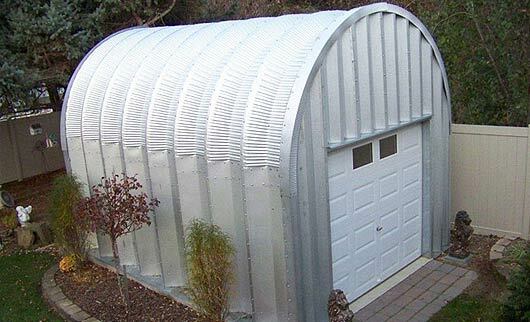 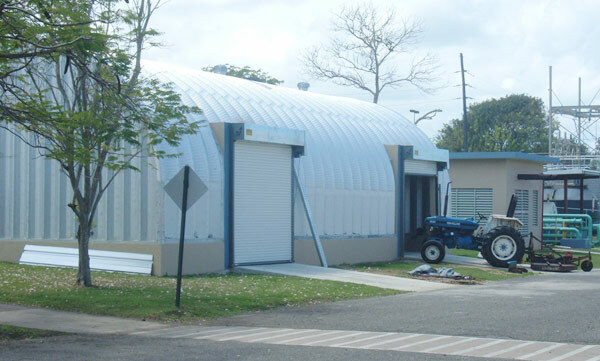 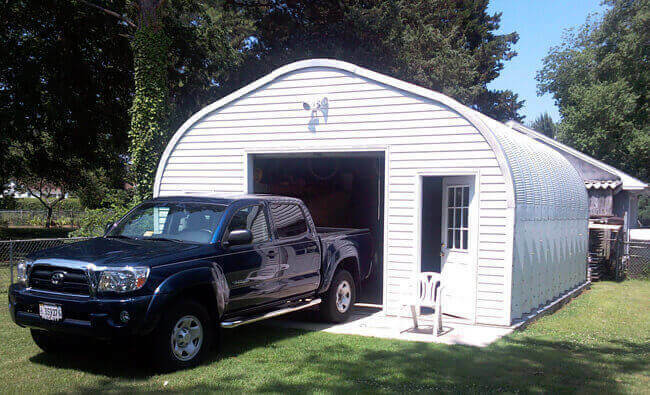 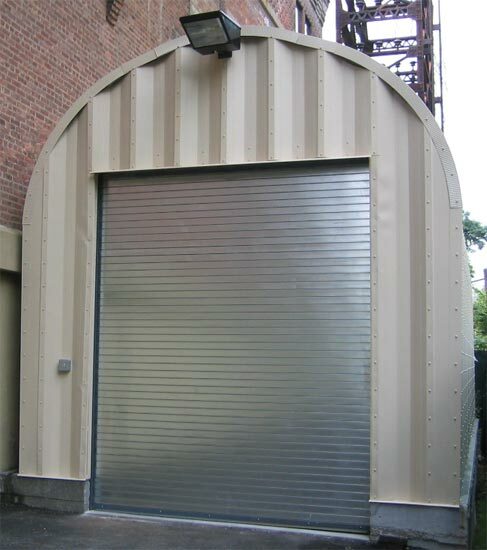 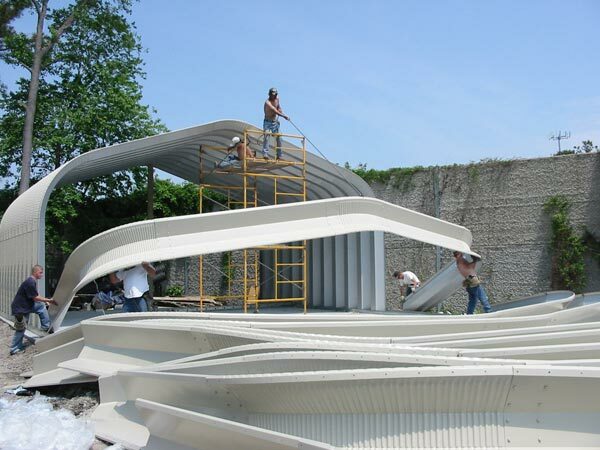 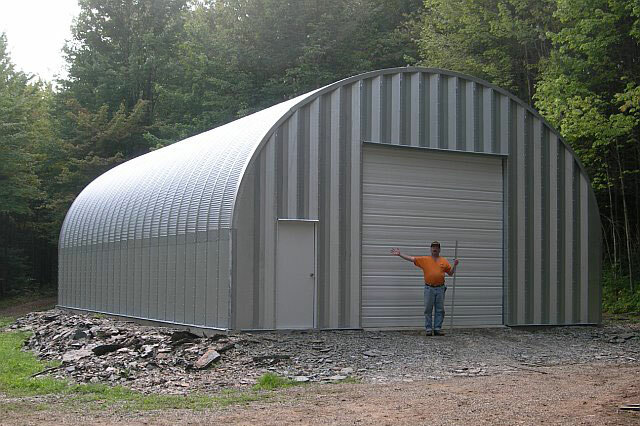 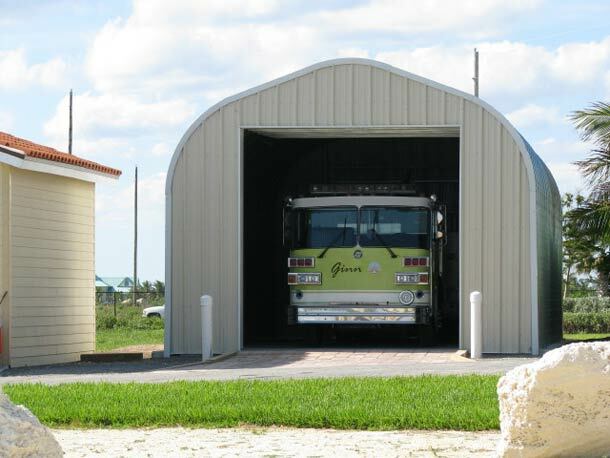 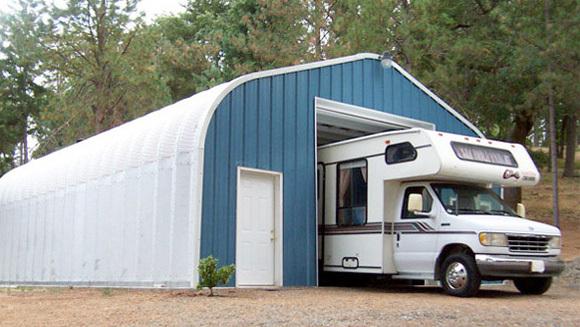 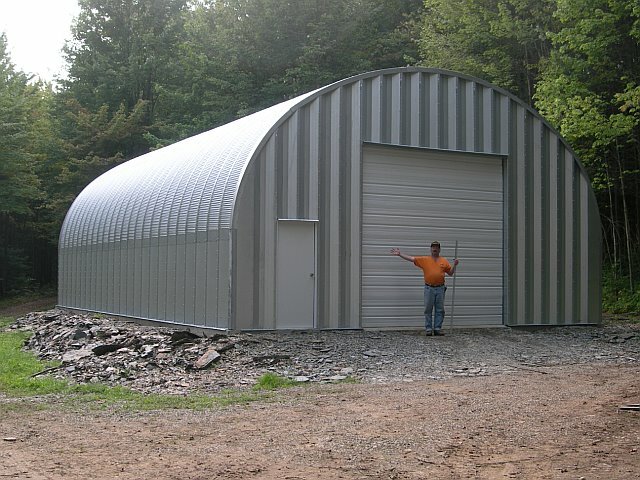 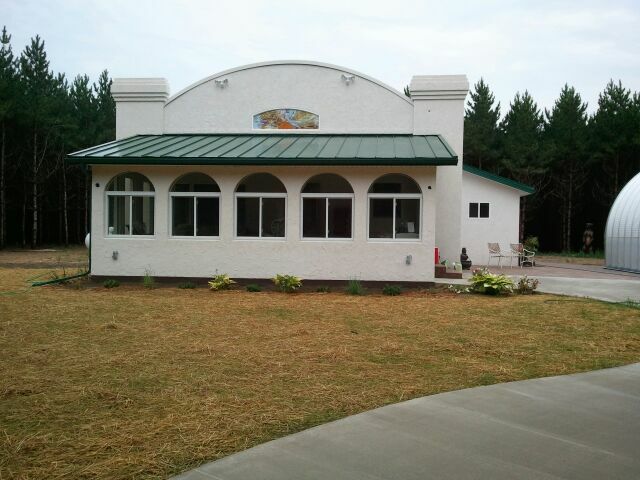 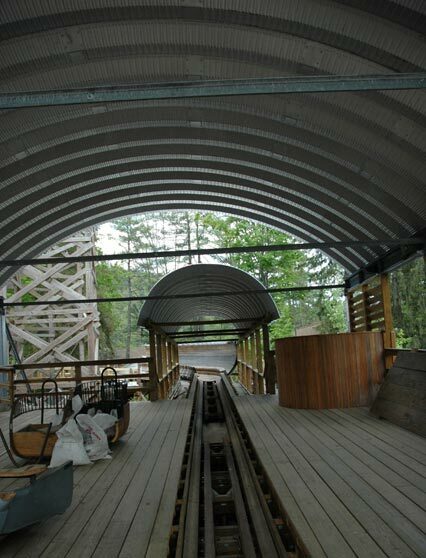 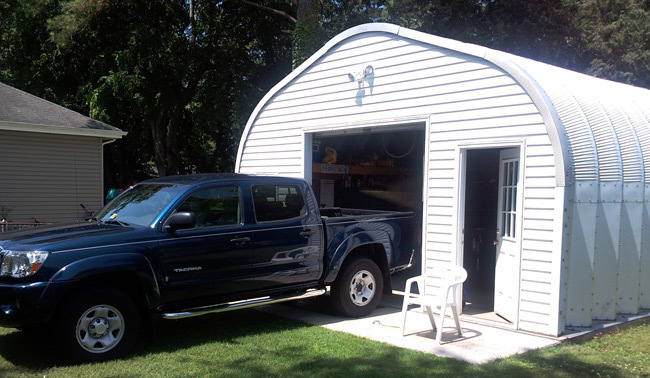 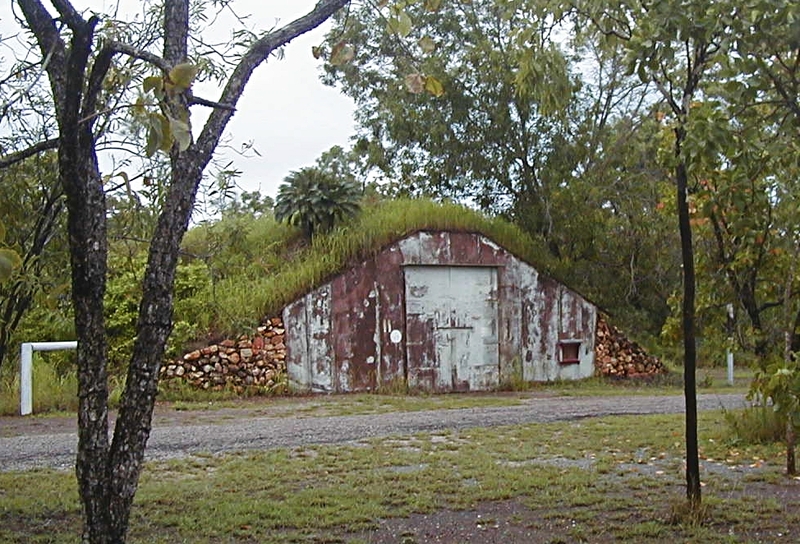 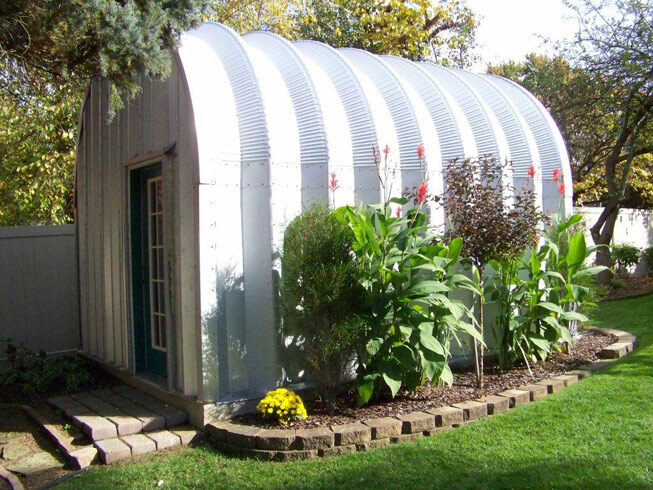 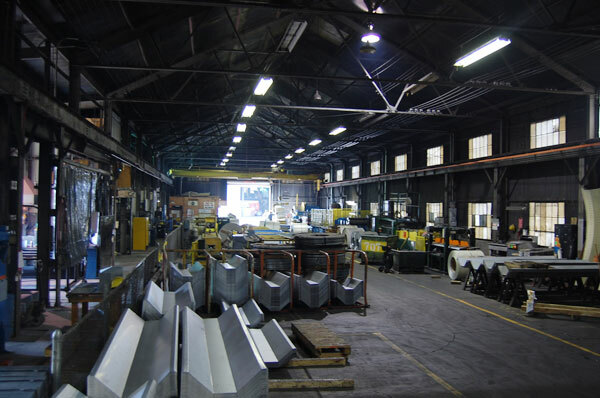 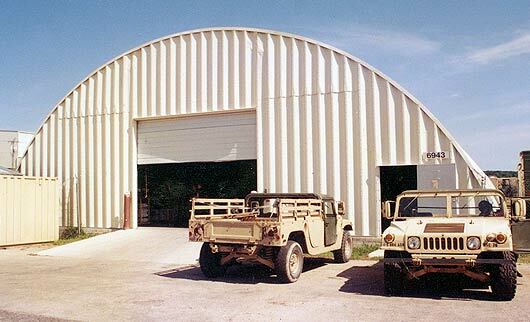 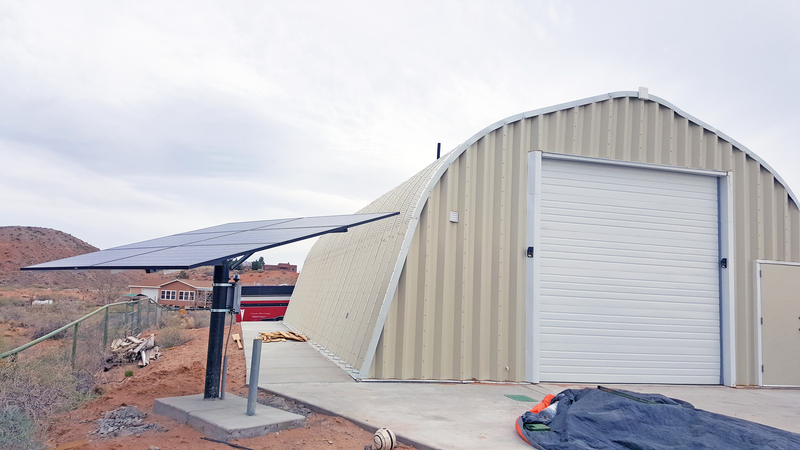 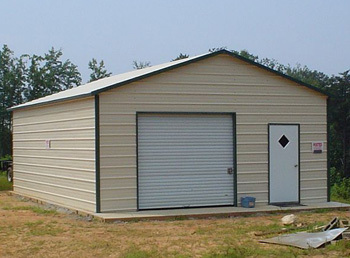 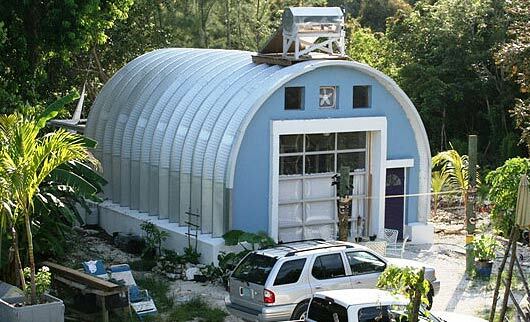 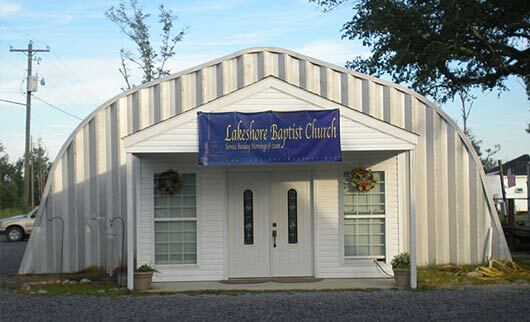 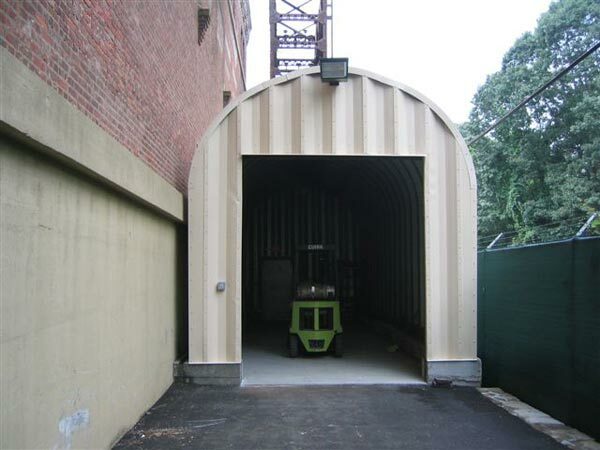 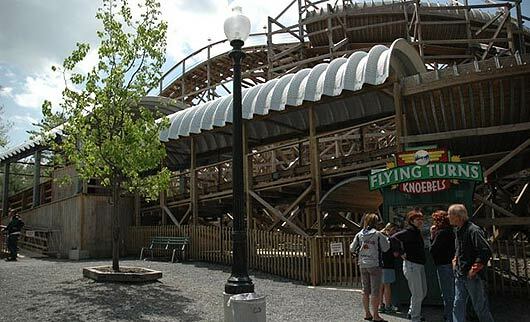 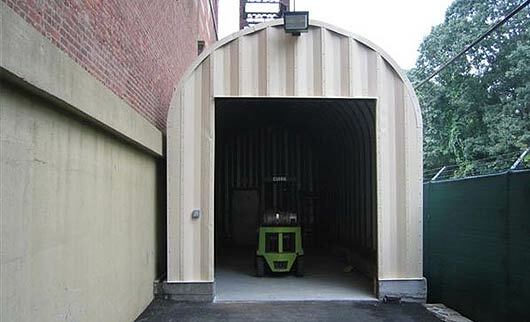 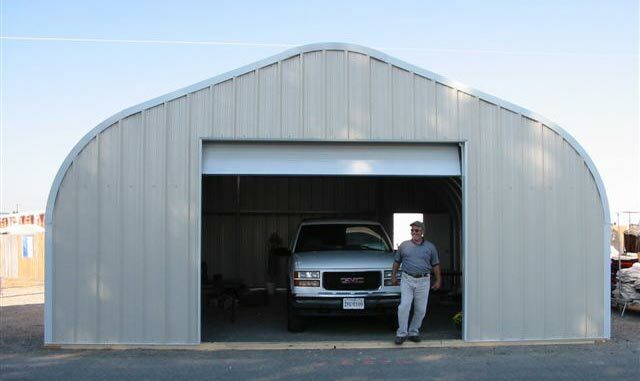 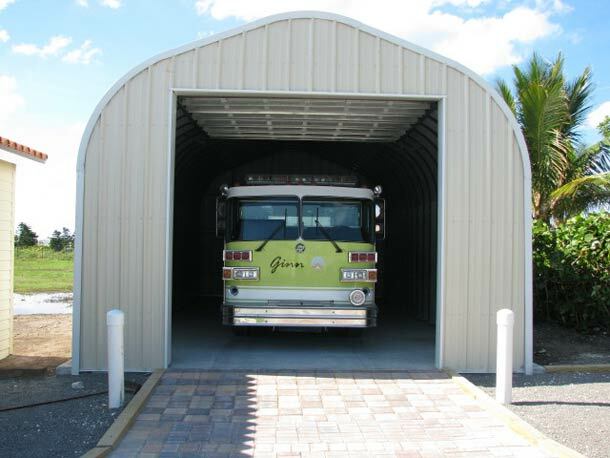 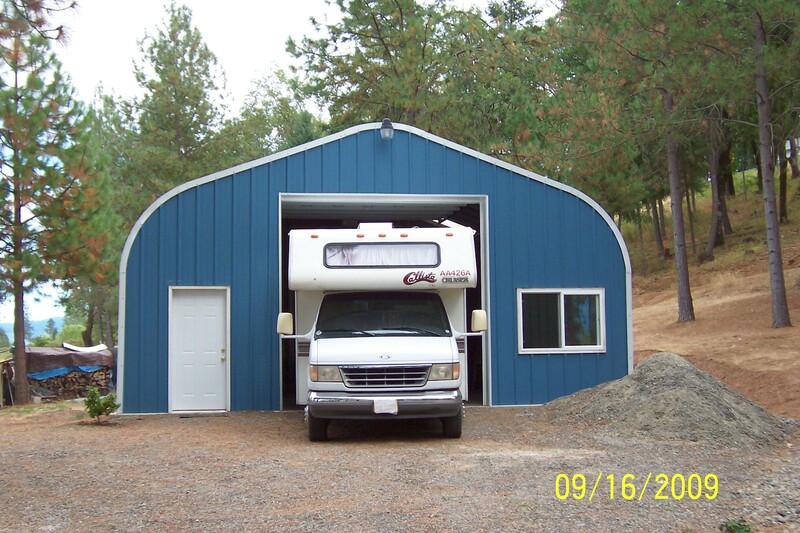 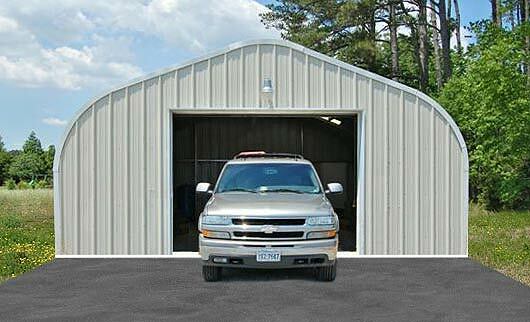 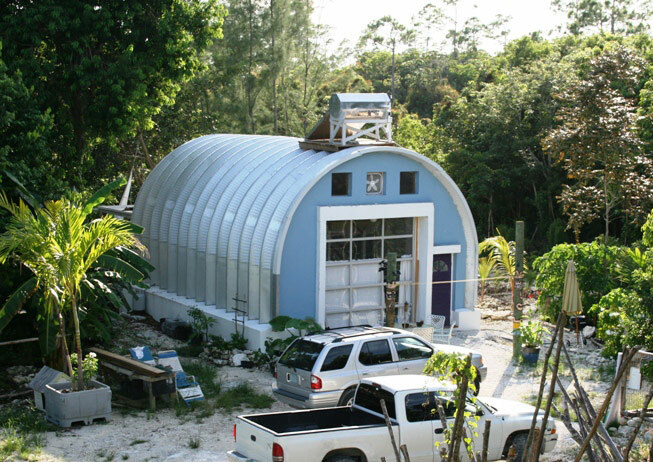 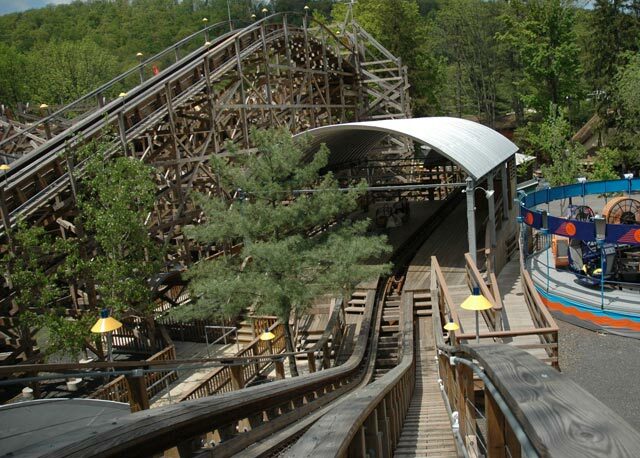 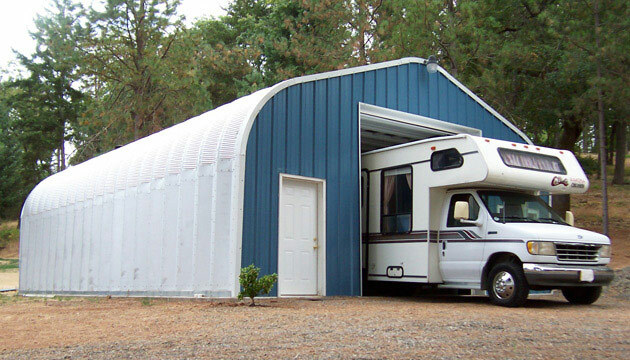 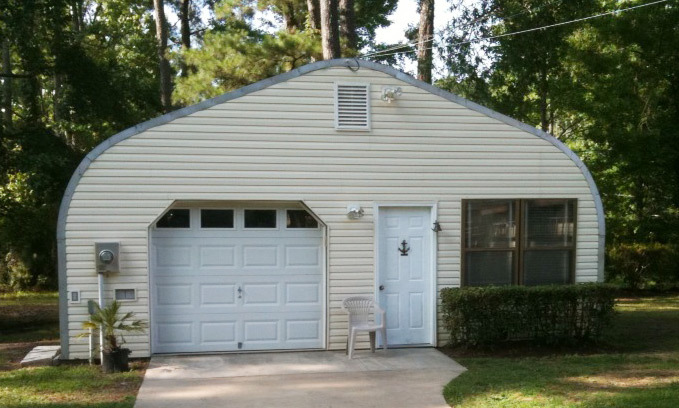 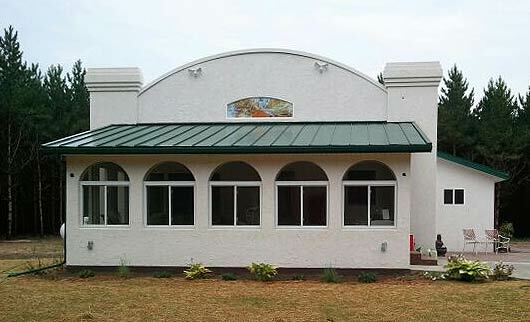 Powerbilt has over 40 years of experience with steel buildings and is one of the leading manufacturers of pre-engineered, easy to assemble arch style metal building kits in the world. 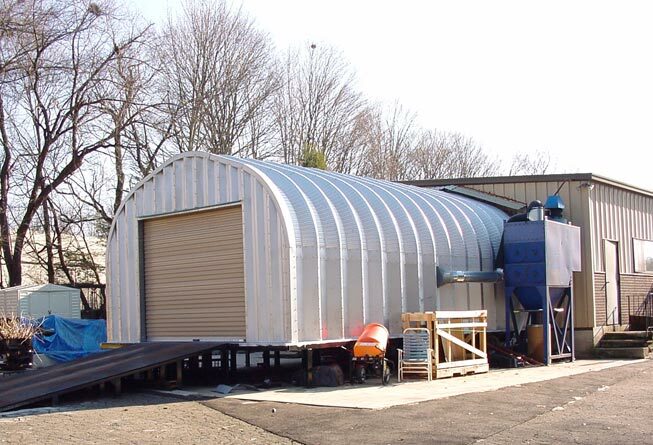 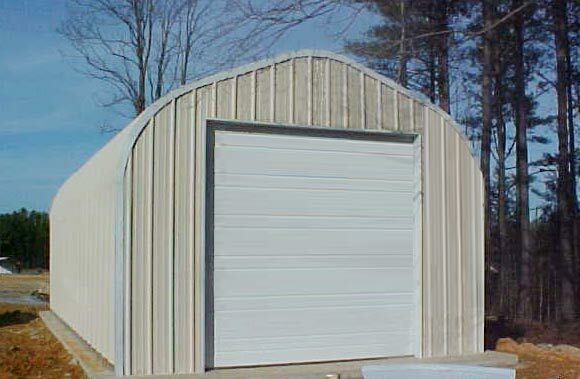 Powerbilt offers a 30 year rust through warranty on its steel airplane hangars and uses only the highest quality and heaviest gauge commercial U.S. steel and 100 percent U.S. labor. 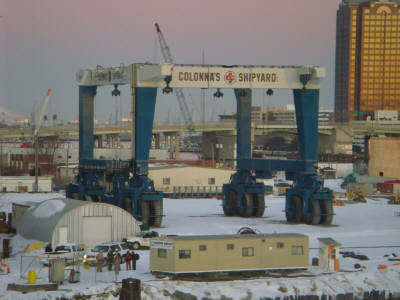 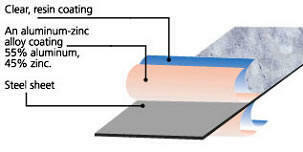 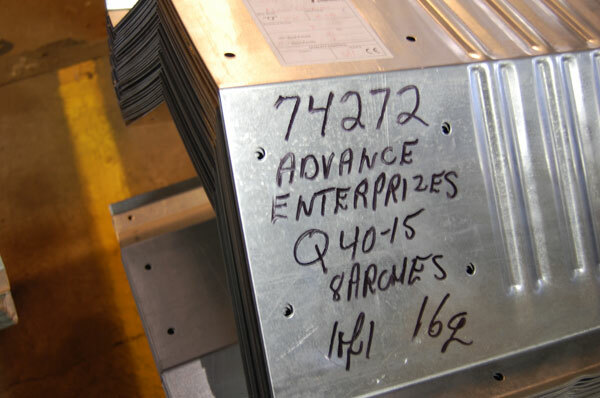 Its precision manufacturing and design meets or exceeds industry standards. 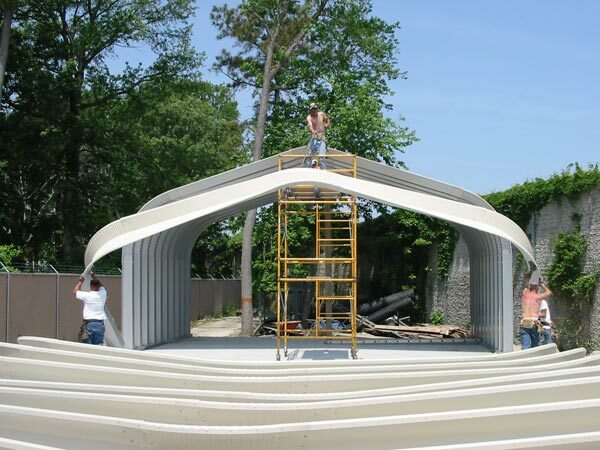 Each kit includes an assembly manual that is easy to follow, ensuring ease of construction. 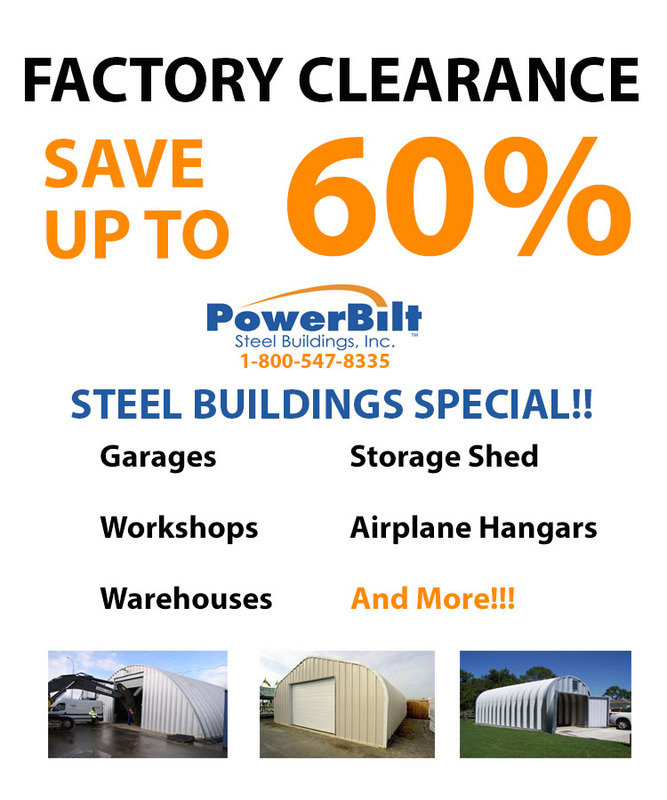 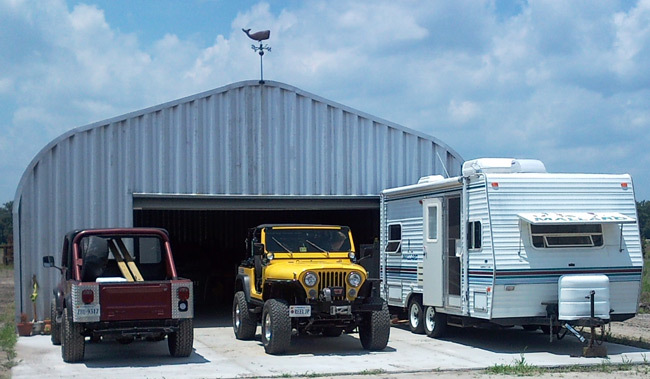 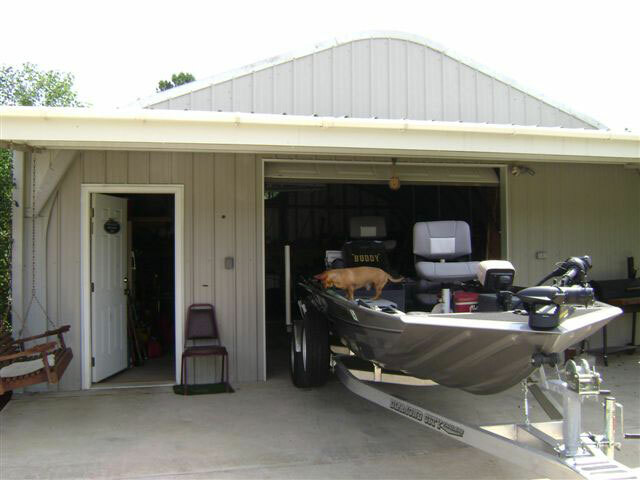 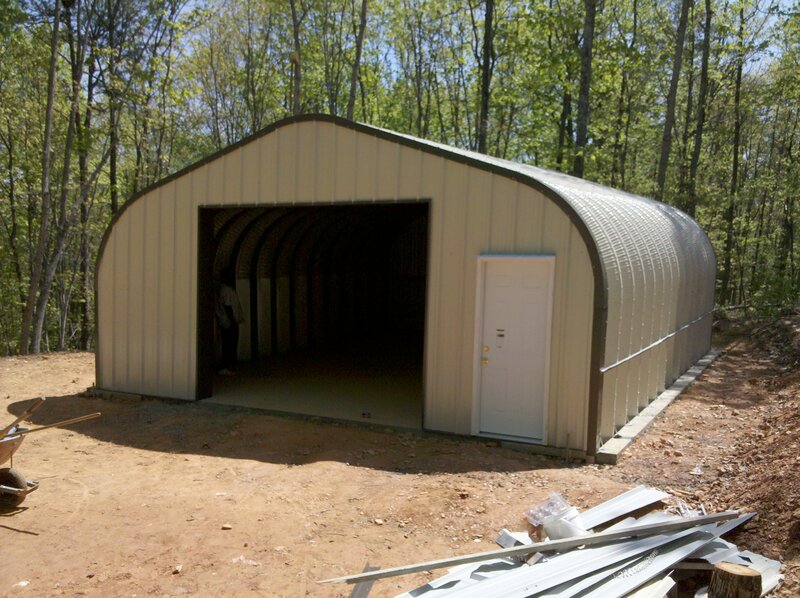 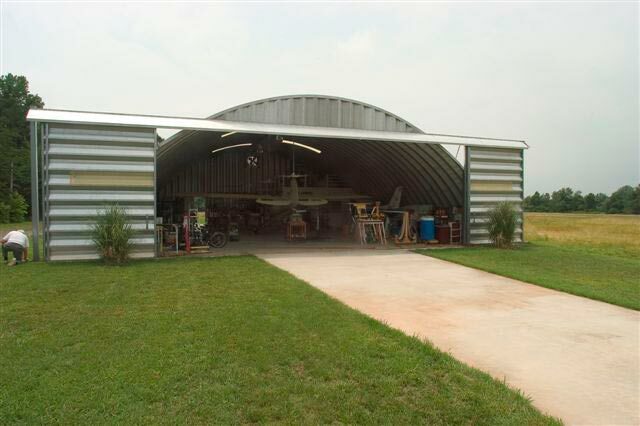 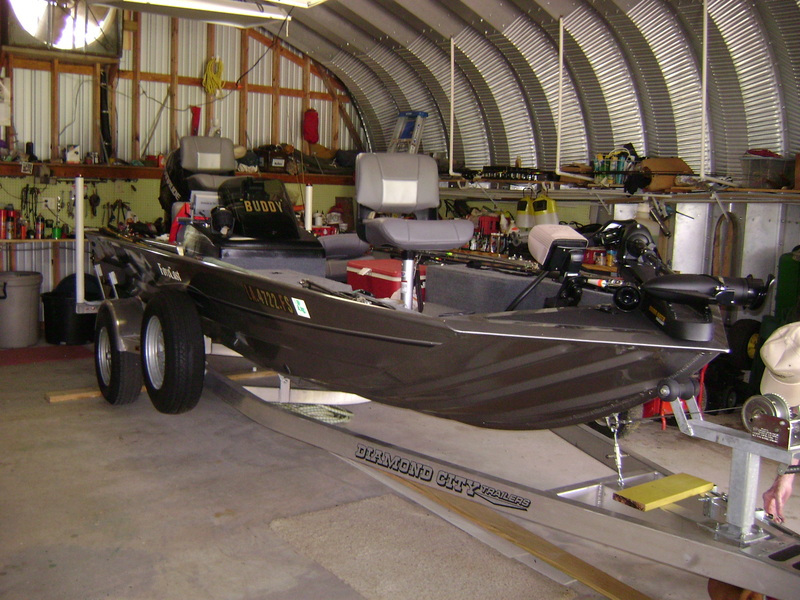 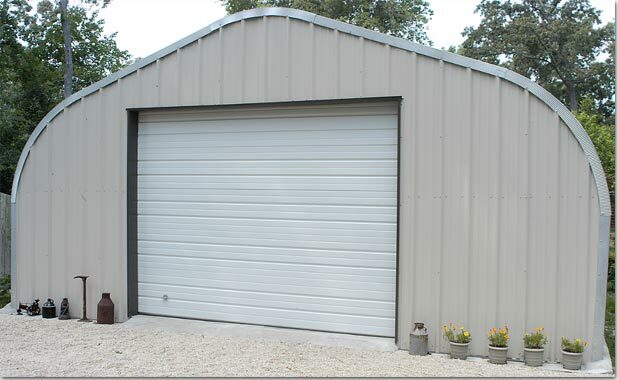 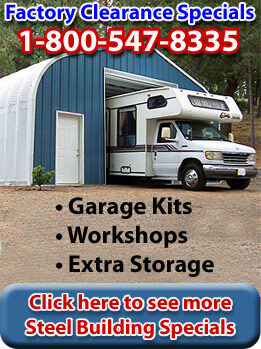 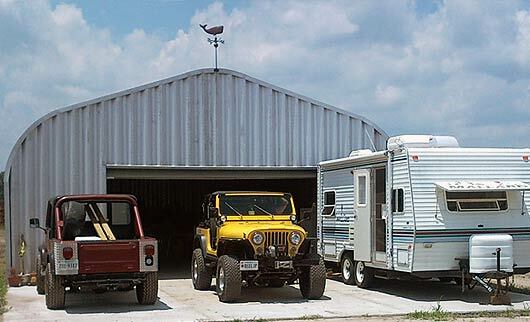 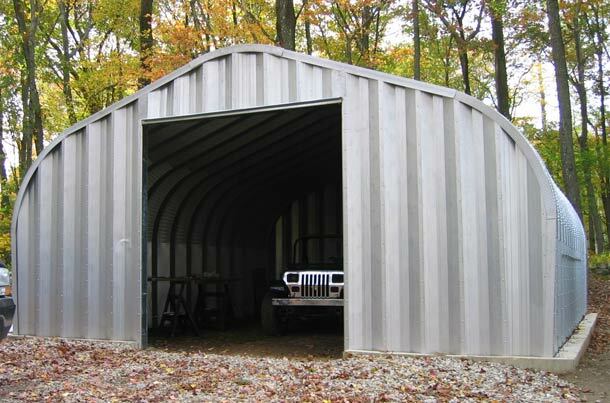 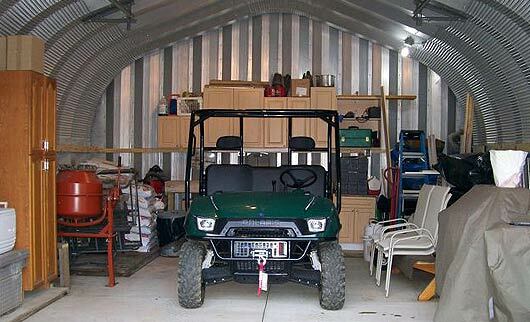 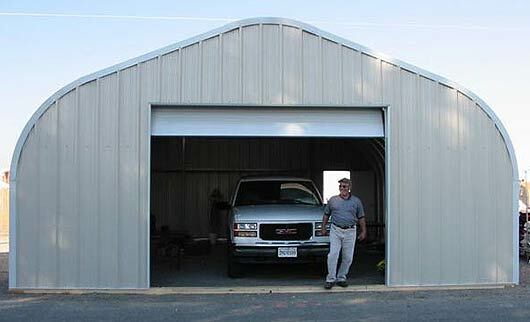 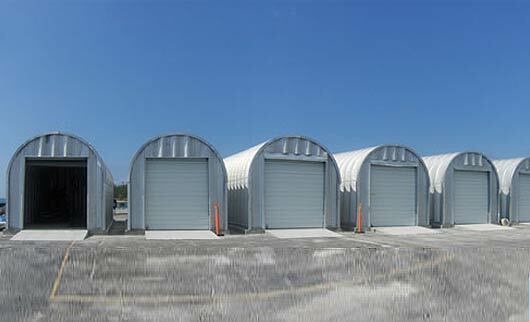 Powerbilt steel aircraft hangars provide the best solution whatever your storage or workspace needs. 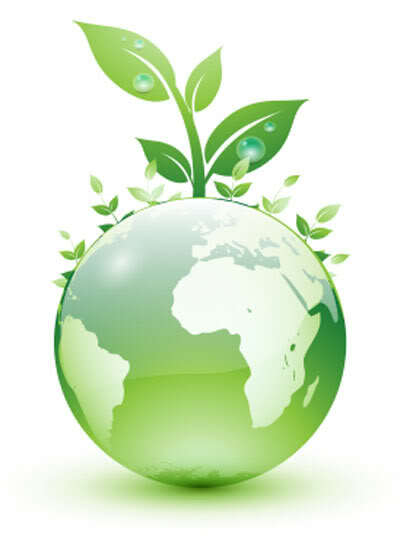 Oh, and they are good for the environment too. 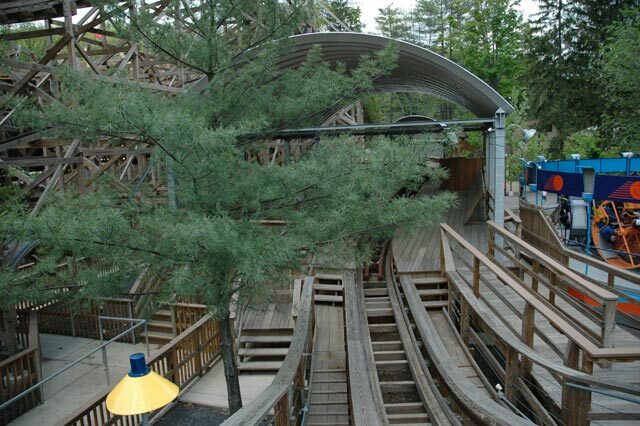 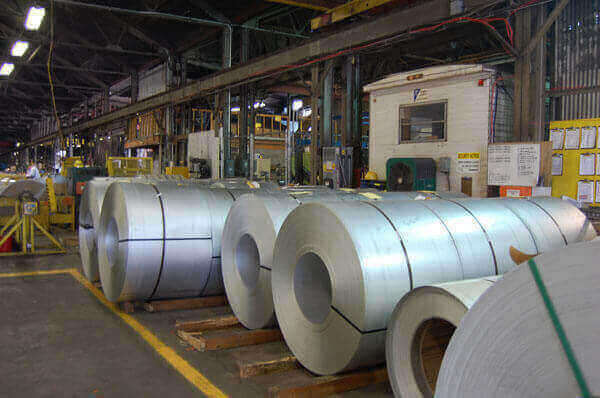 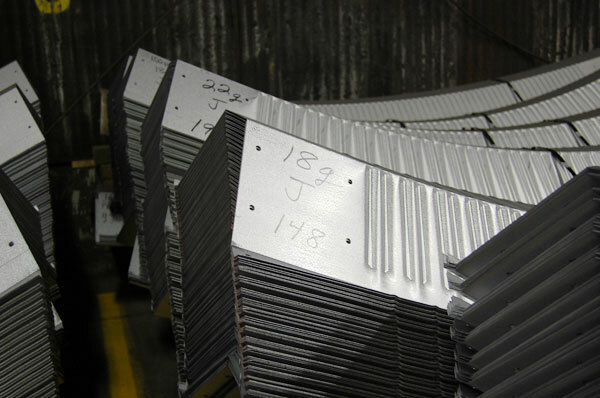 Steel is made from recycled materials. 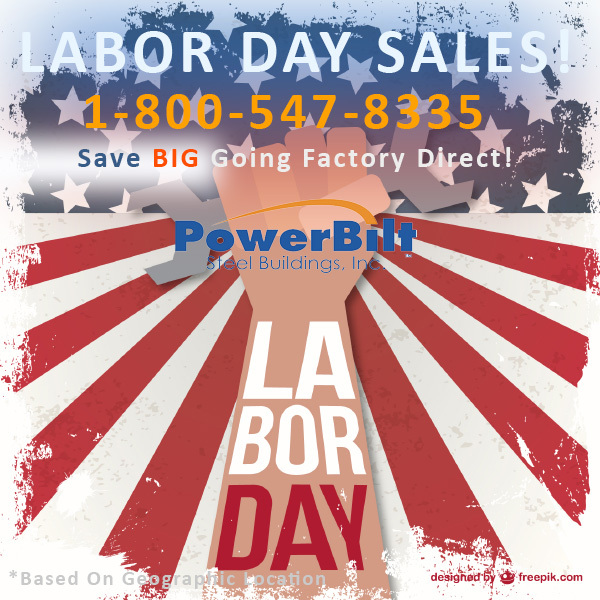 Powerbilt delivers factory direct to your location. 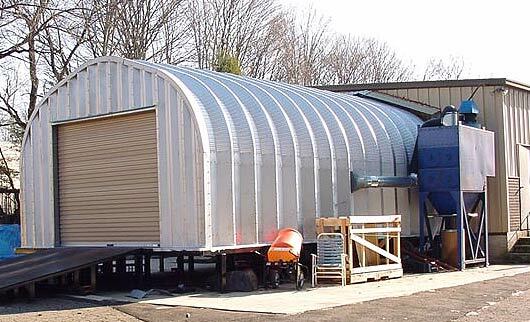 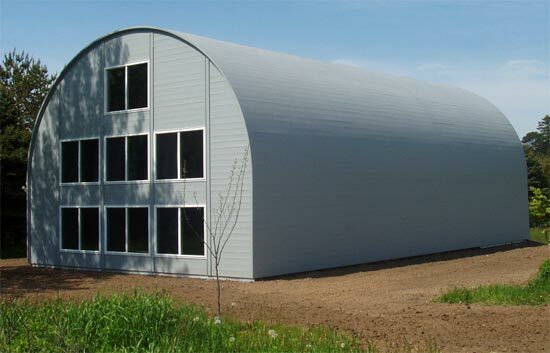 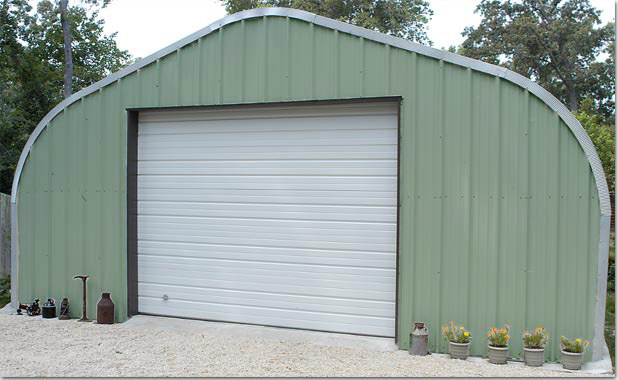 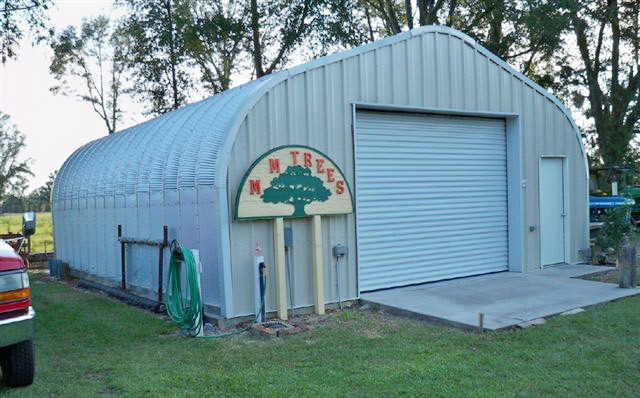 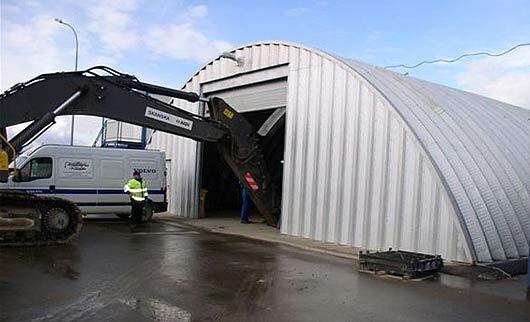 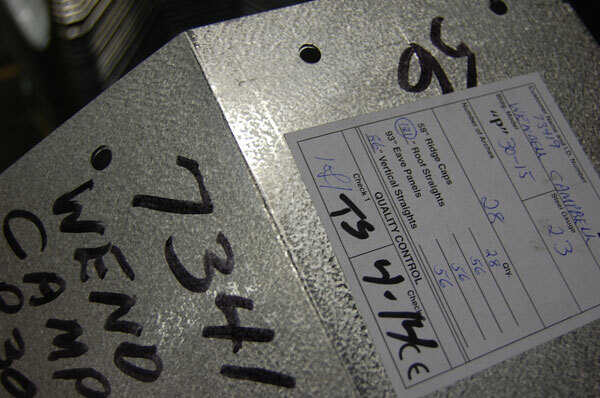 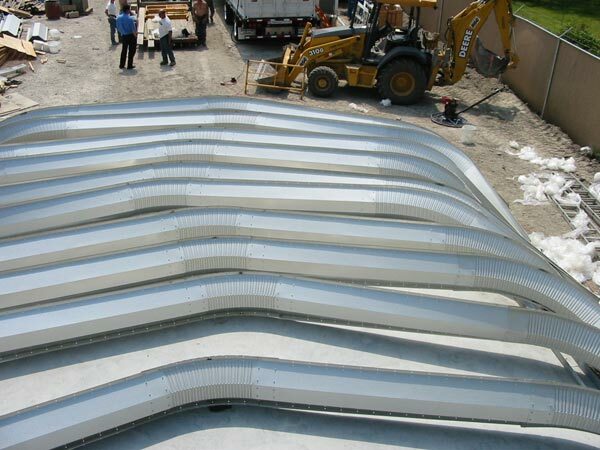 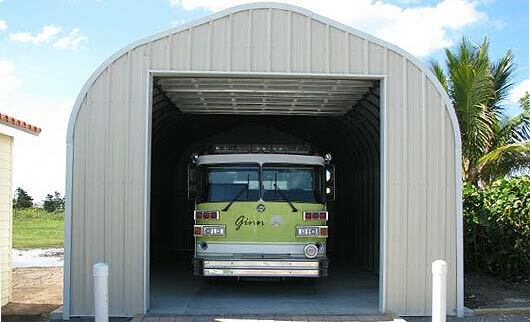 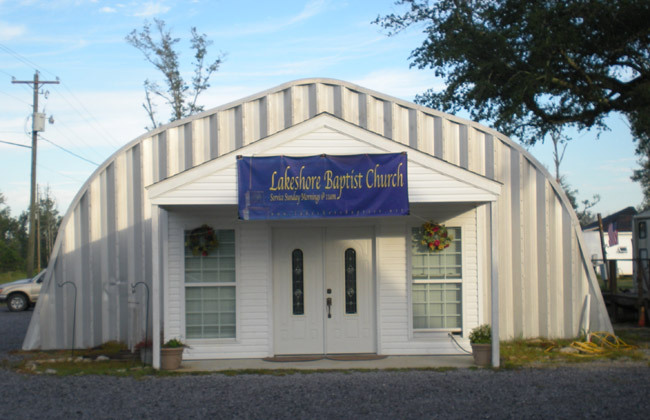 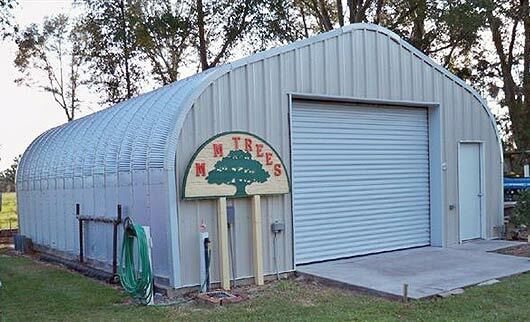 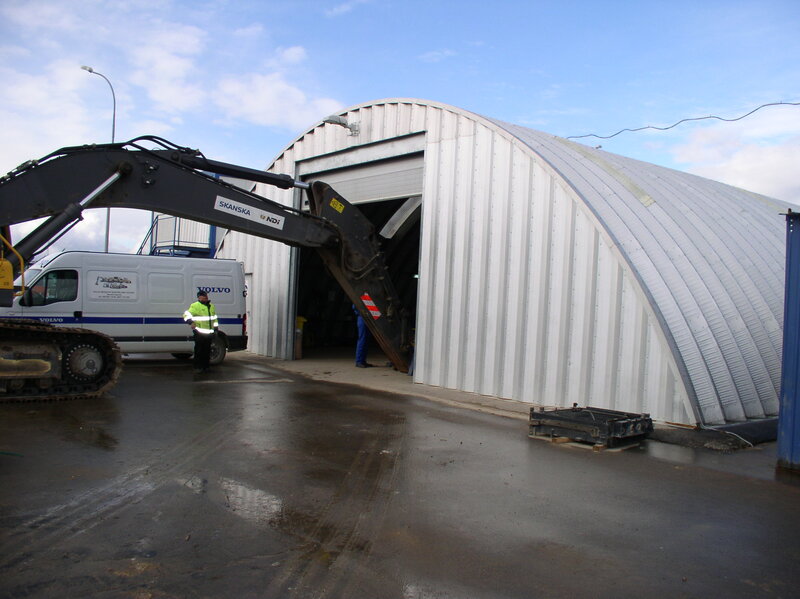 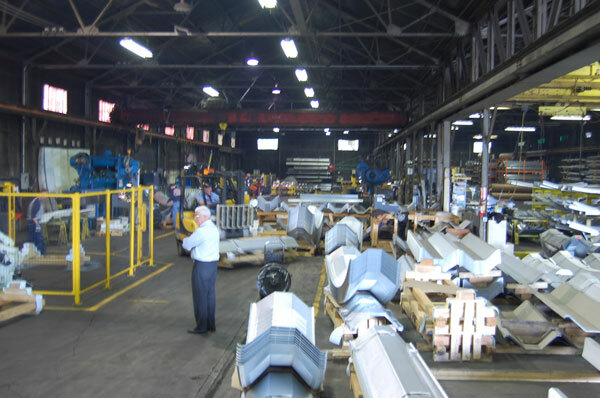 Easy scheduling, delivery and community freight of the metal buildings ensure savings on delivery costs. 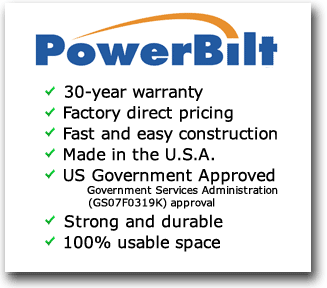 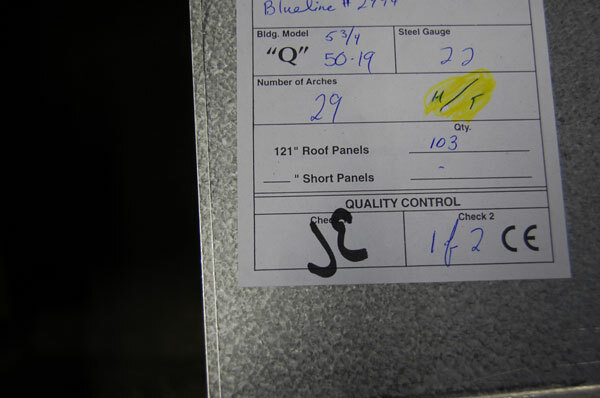 Powerbilt also promises an extremely quick turnaround, with factory stamped drawings typically arriving seven days from receipt of order. 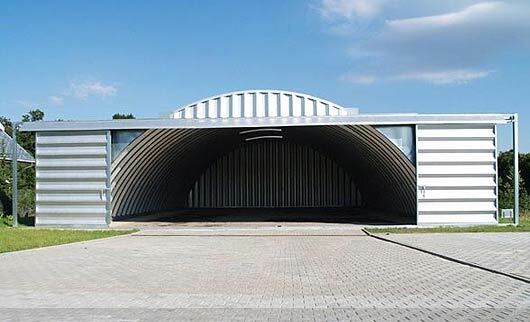 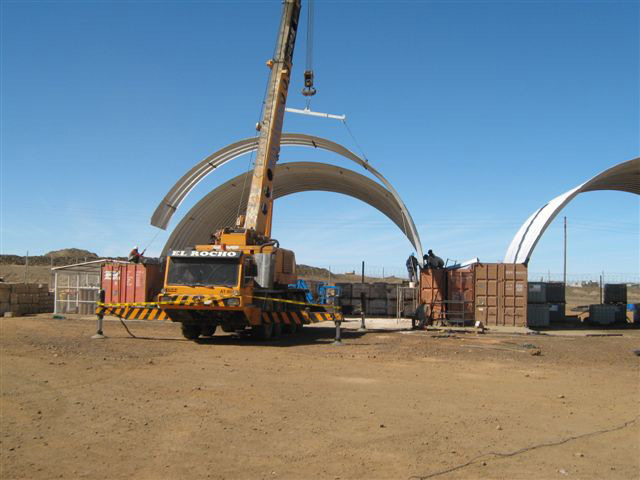 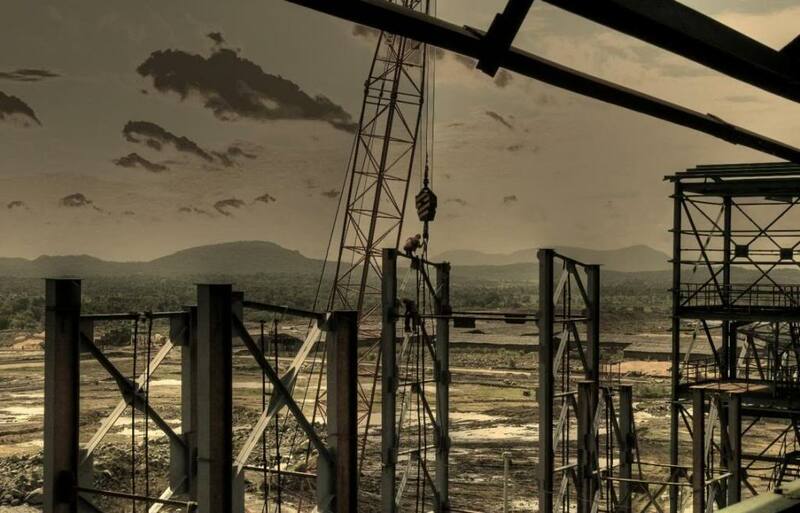 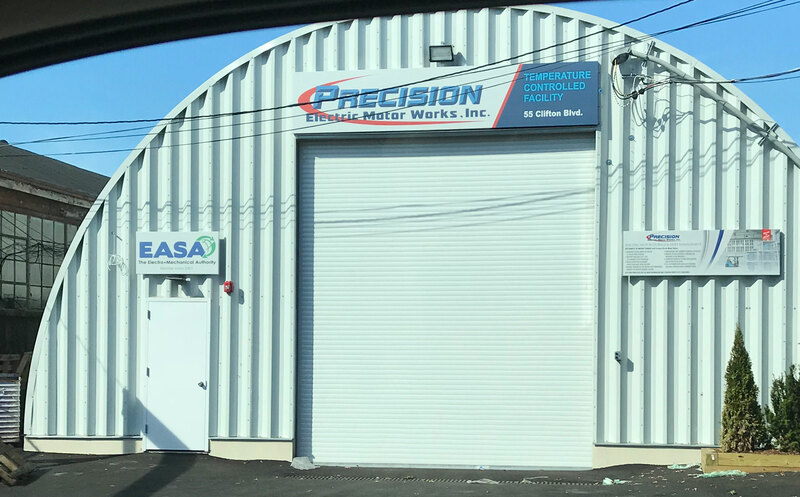 Highly trained building consultants are available to discuss your needs, answer all your technical inquiries, and price a steel aircraft hangar to your specifications within 24 hours. 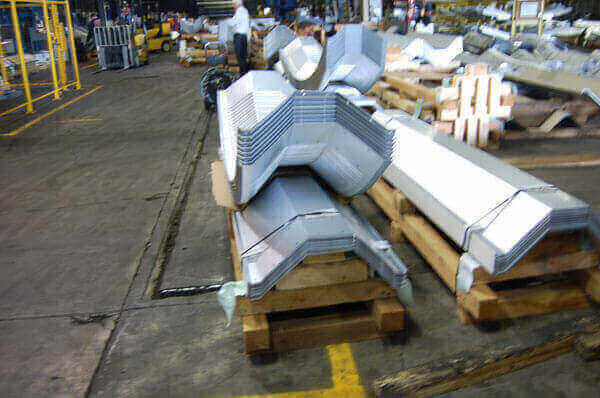 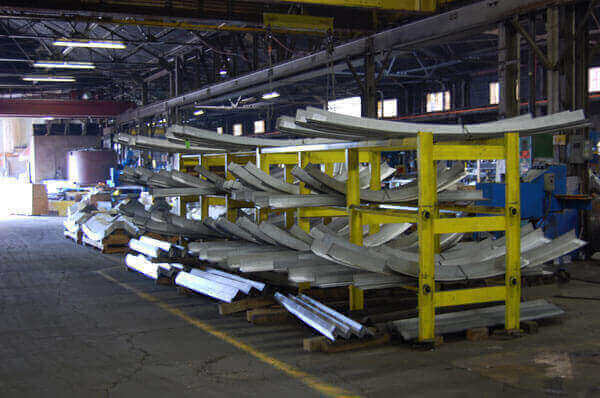 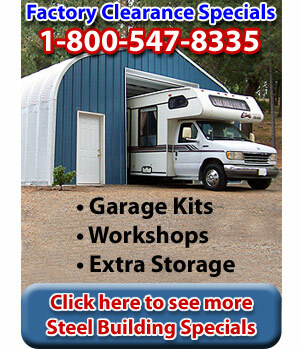 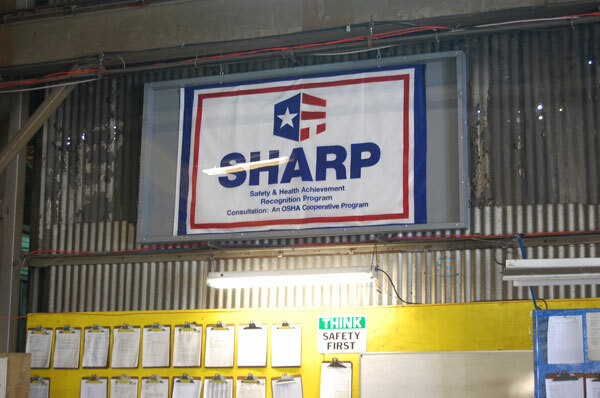 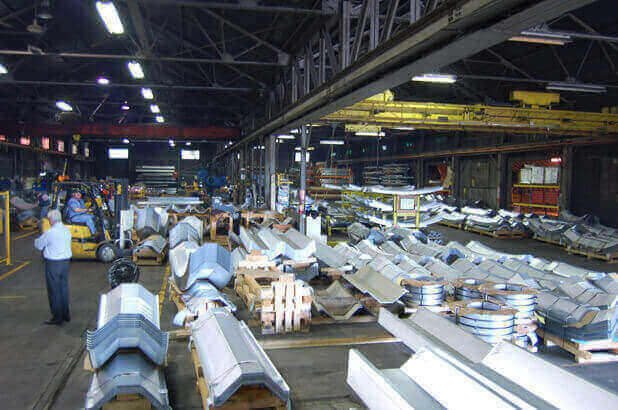 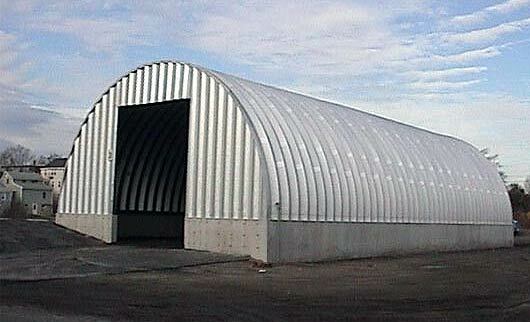 today for building specials on all our steel aircraft hangars or request an online quote. 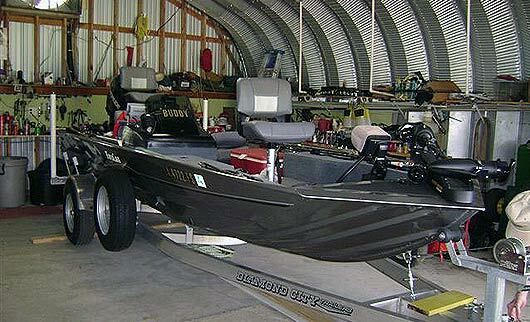 You will not go wrong with a Powerbilt.